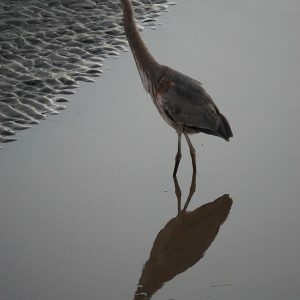 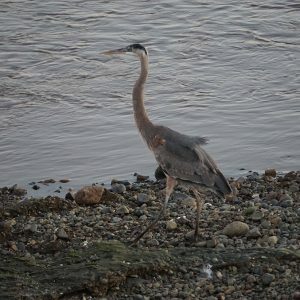 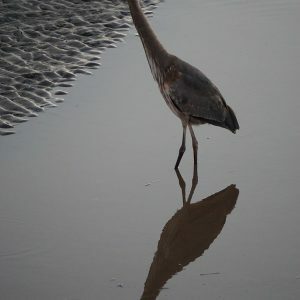 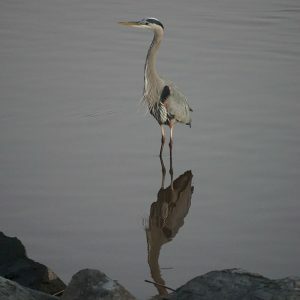 Great Blue Heron are so majestic. 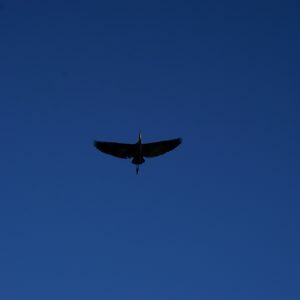 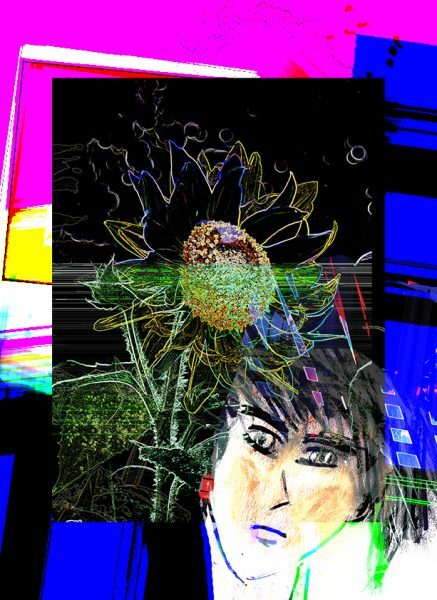 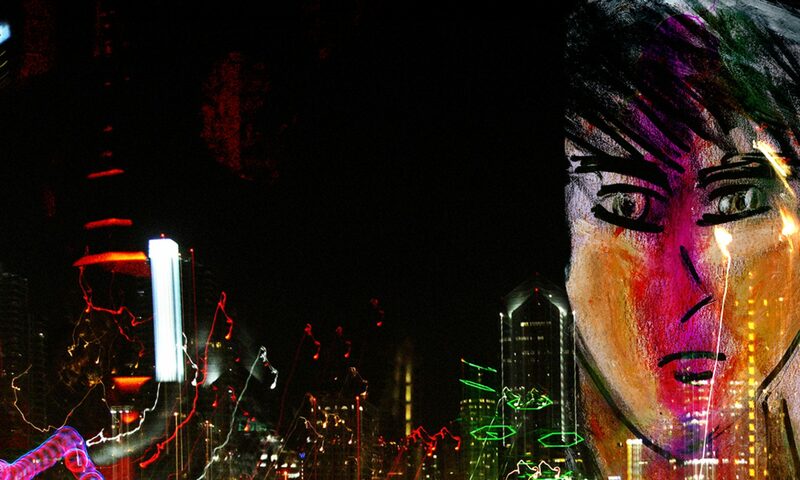 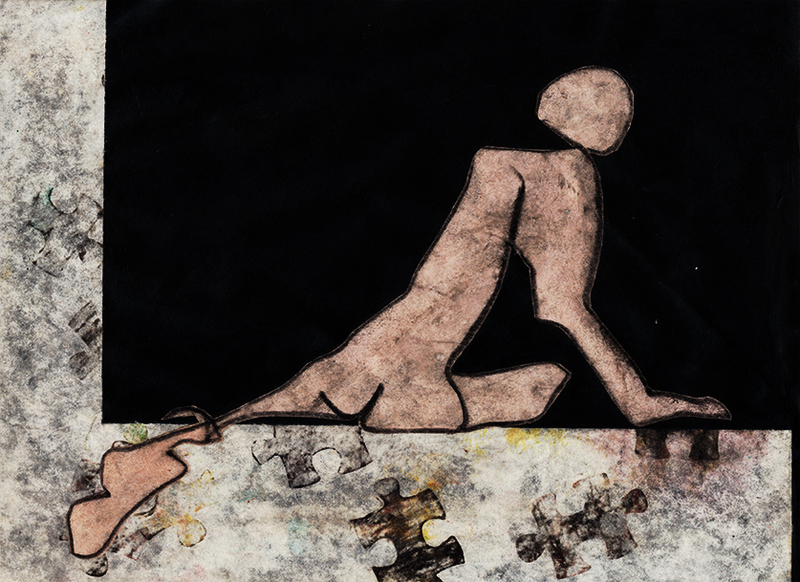 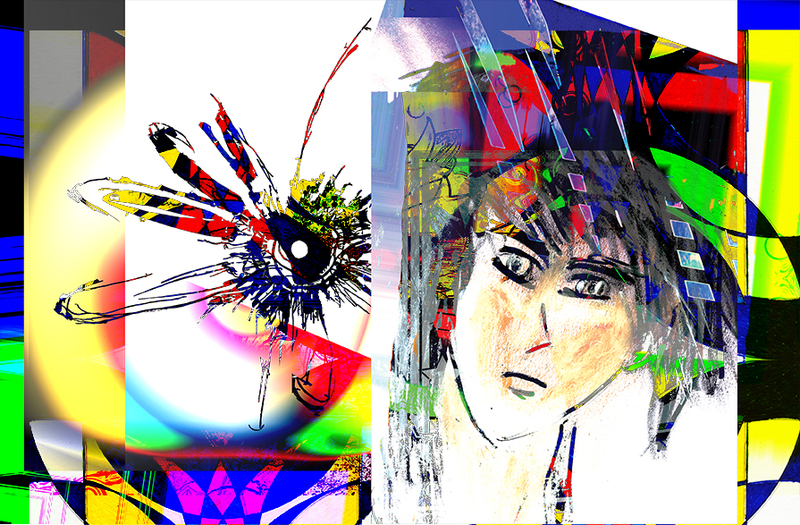 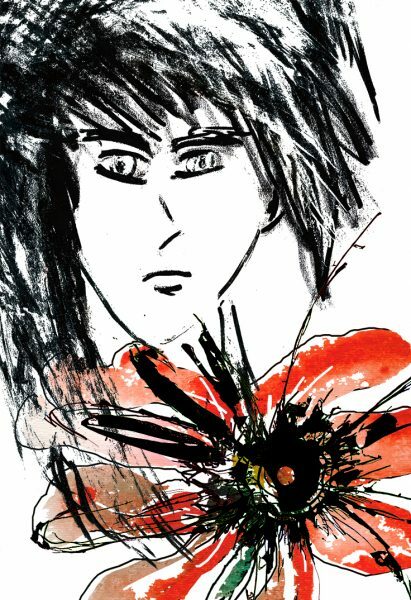 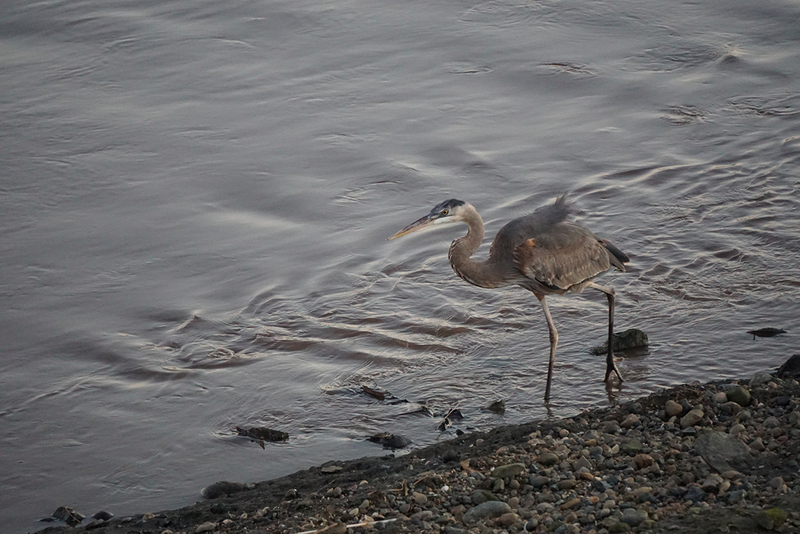 I see this elegant creature in various locations around the city. 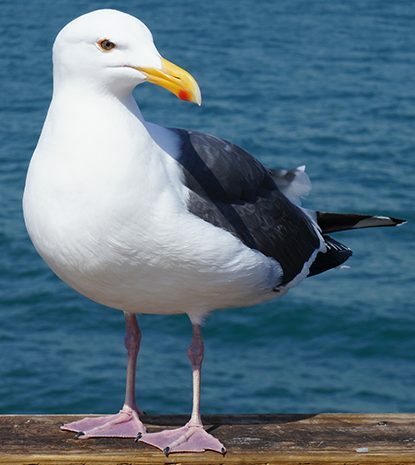 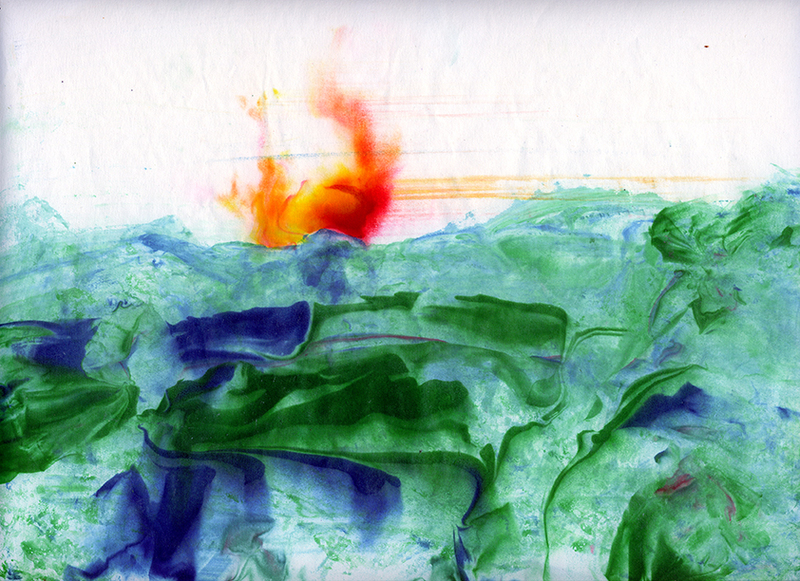 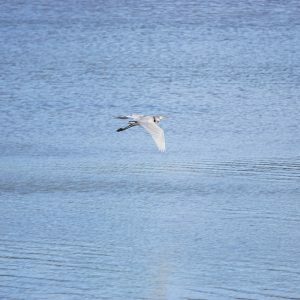 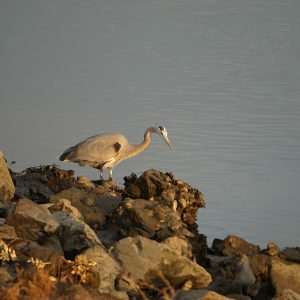 I have observed them around San Diego Bay at Shelter Island, Bessemer Path and Spanish Landing. 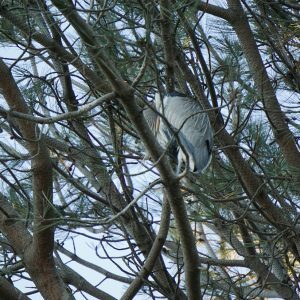 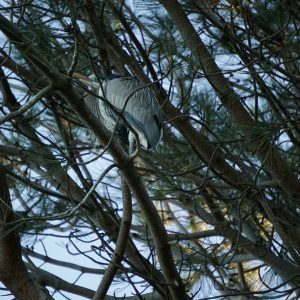 If you decide to take a walk along Bessemer Path you will notice they have nests in the pine trees at the far end of the path. 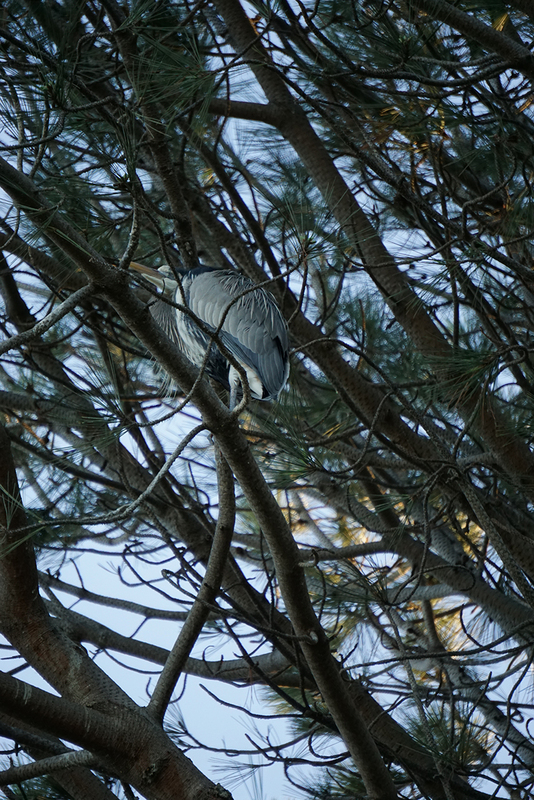 At times you can spot several in the tree at the same time. 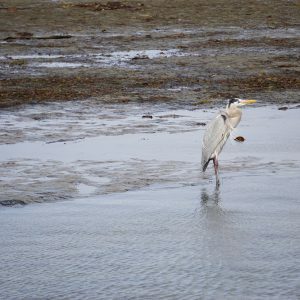 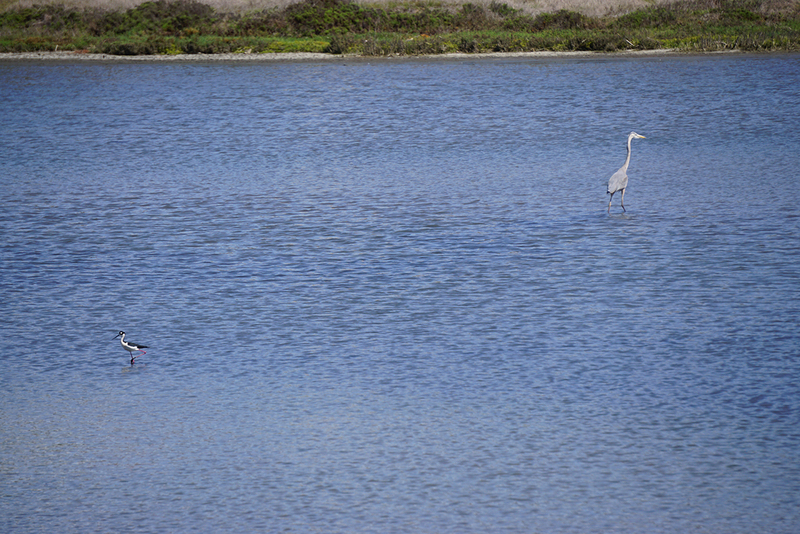 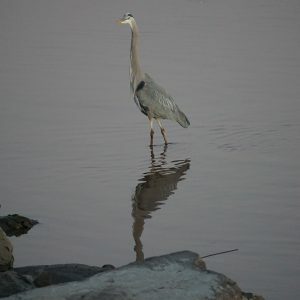 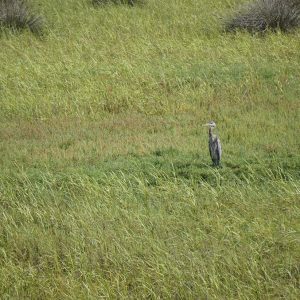 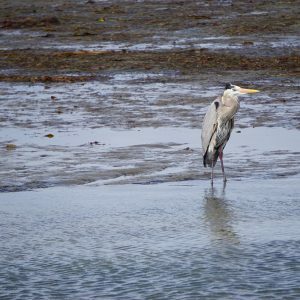 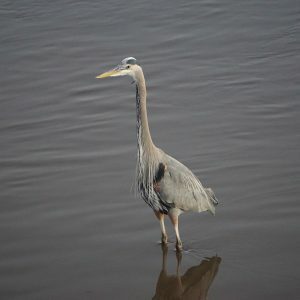 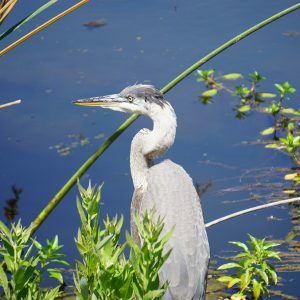 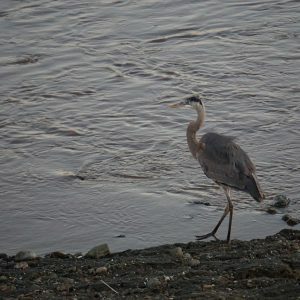 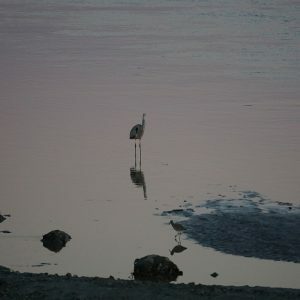 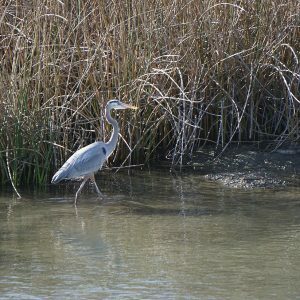 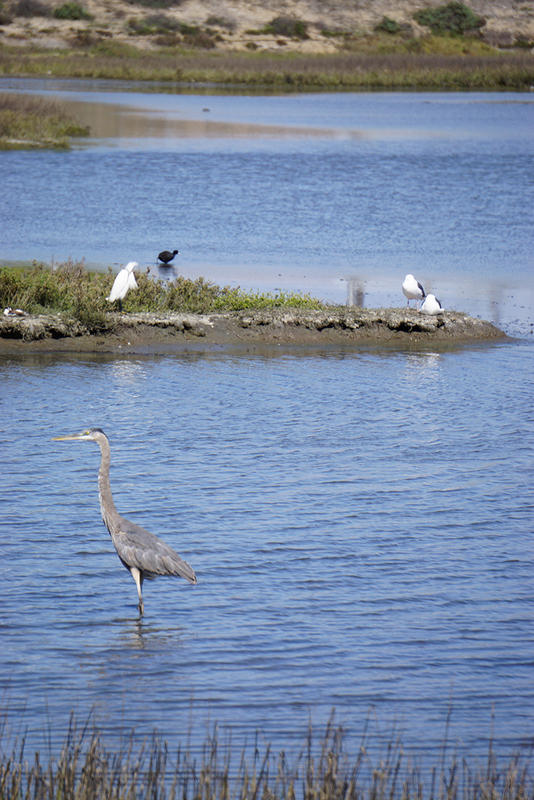 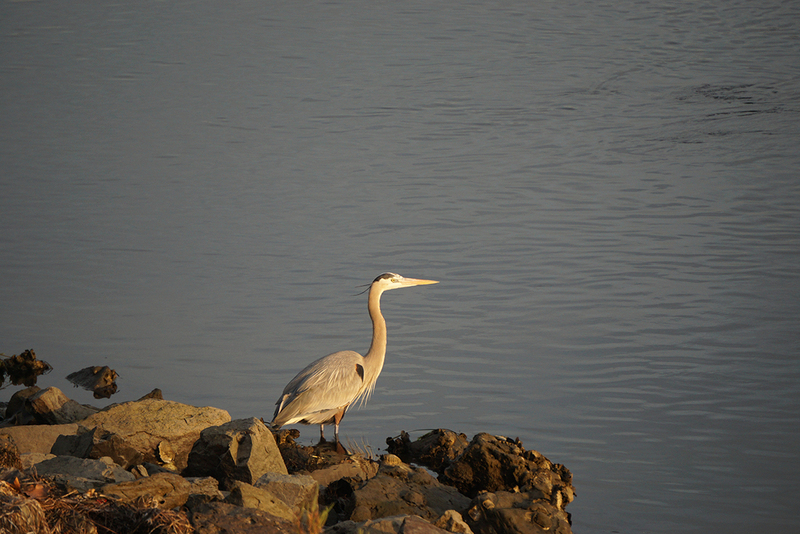 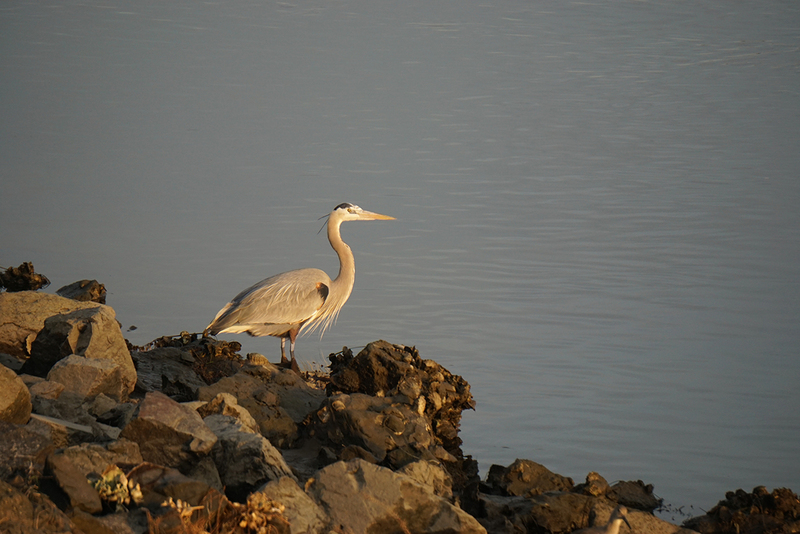 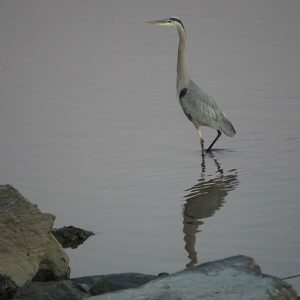 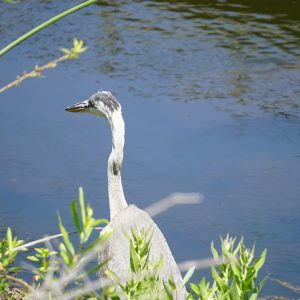 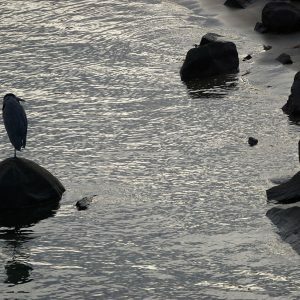 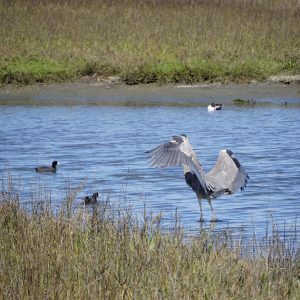 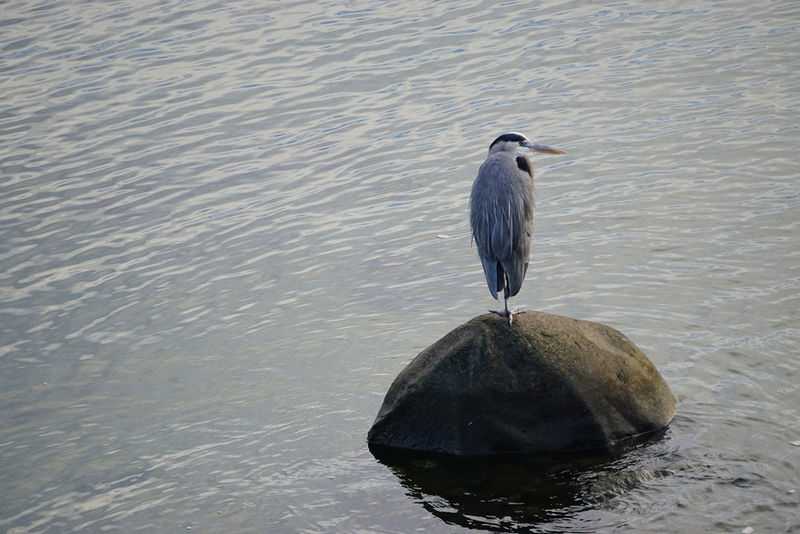 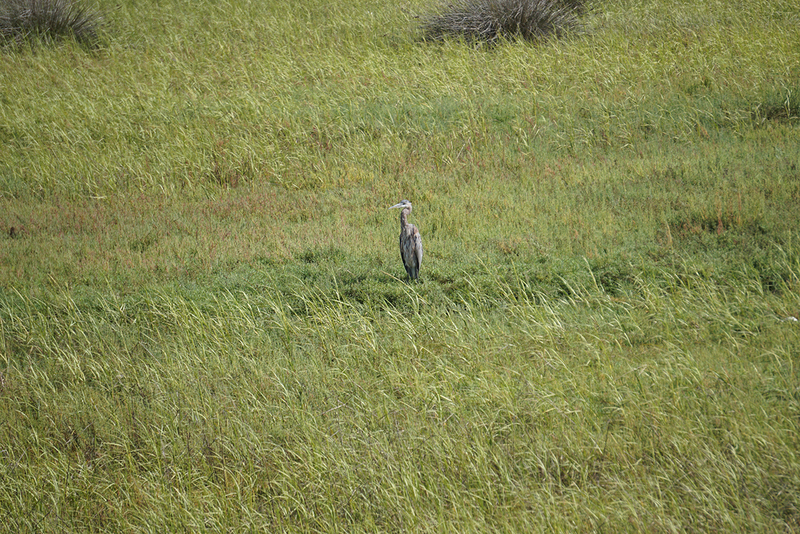 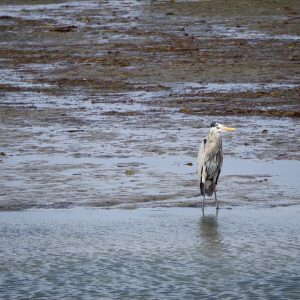 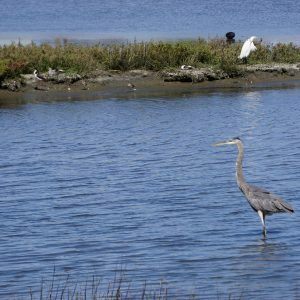 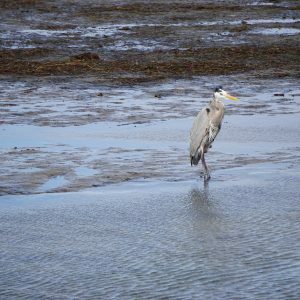 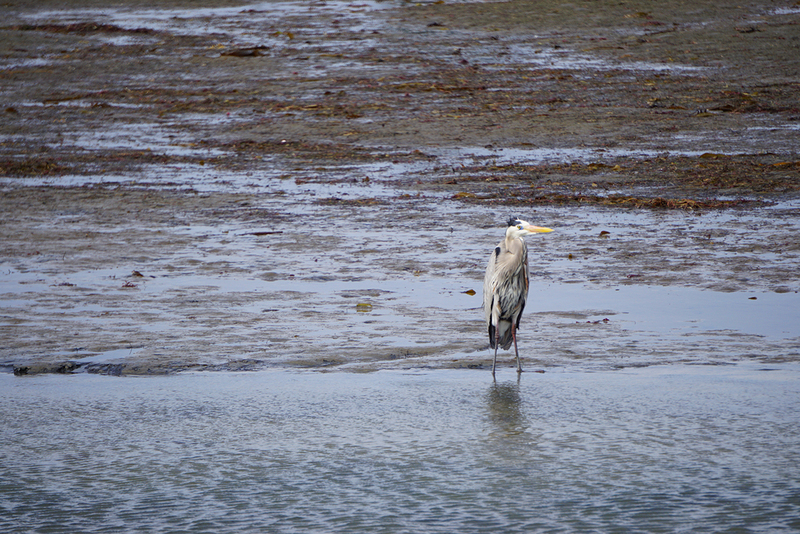 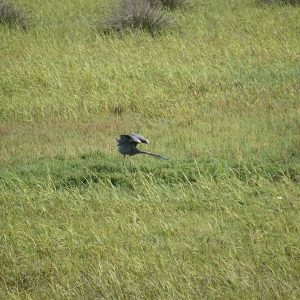 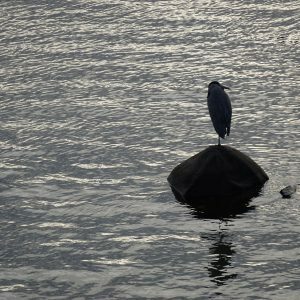 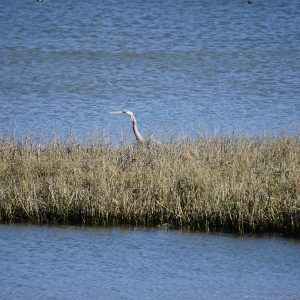 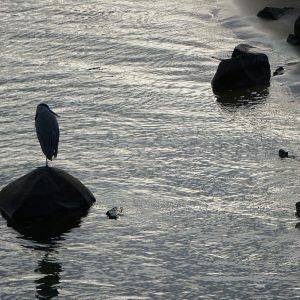 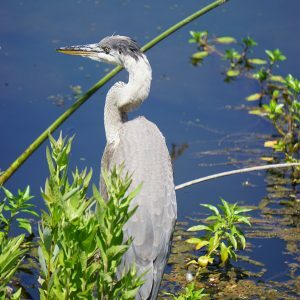 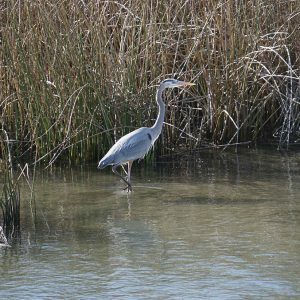 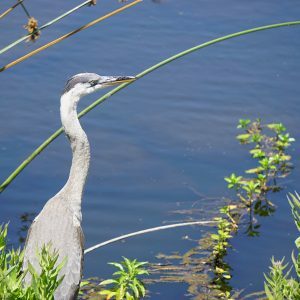 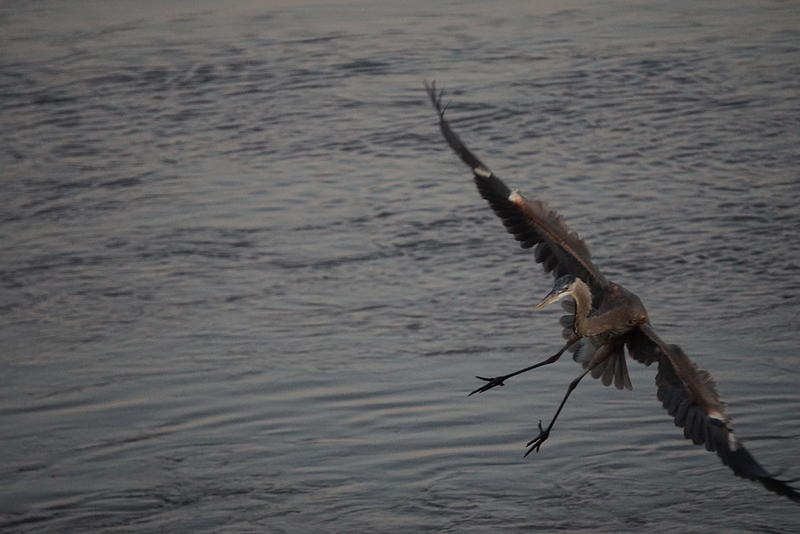 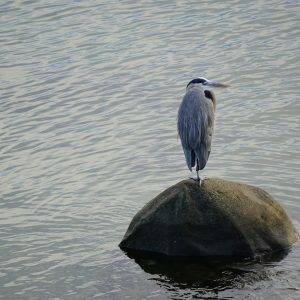 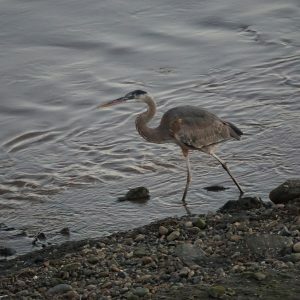 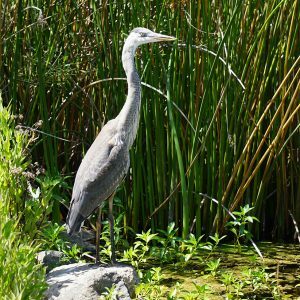 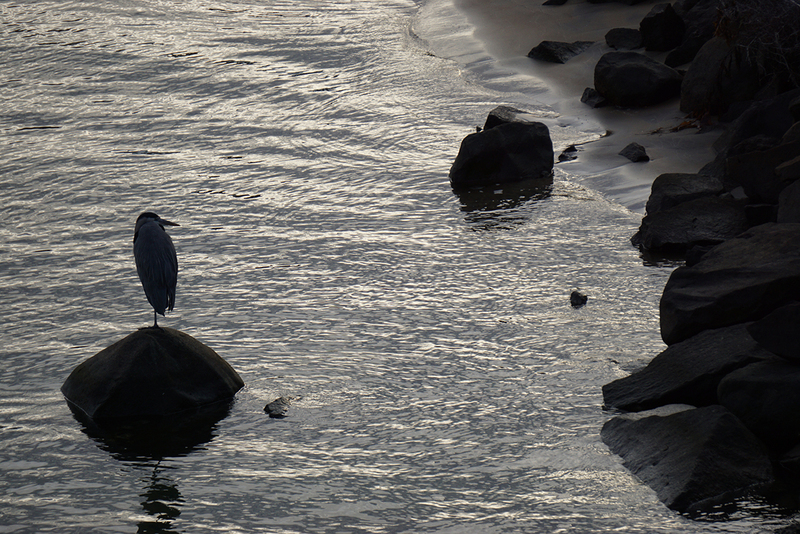 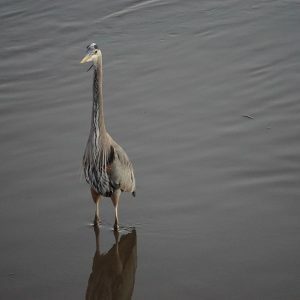 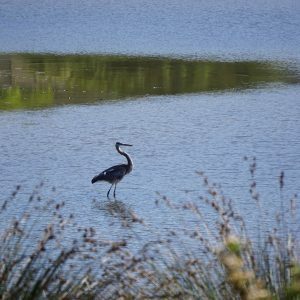 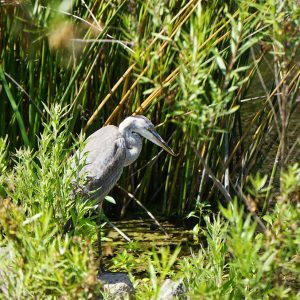 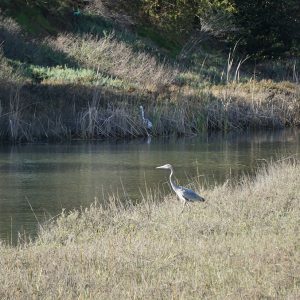 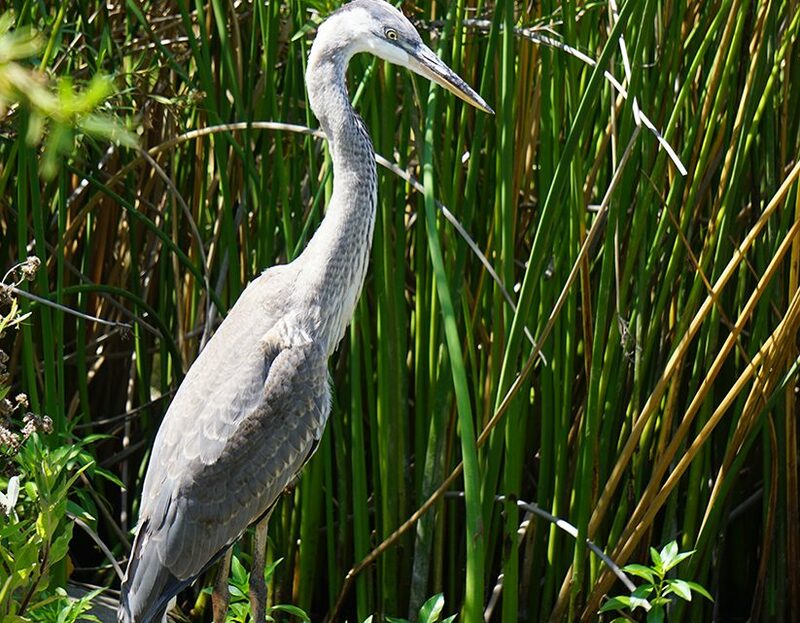 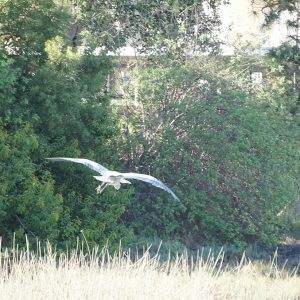 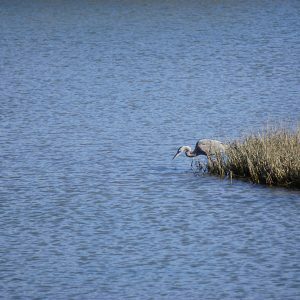 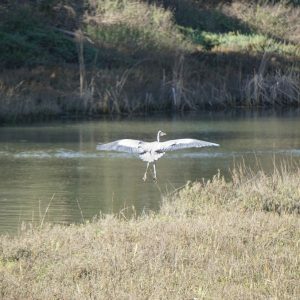 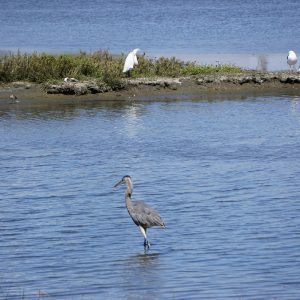 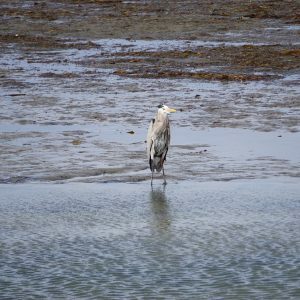 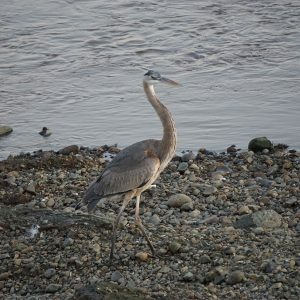 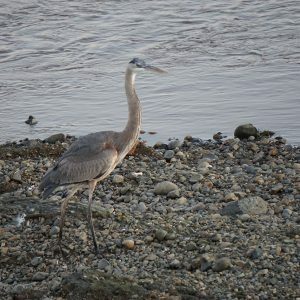 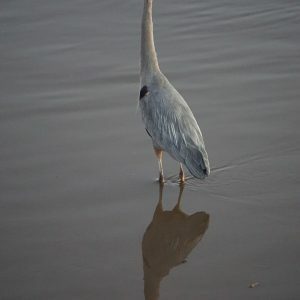 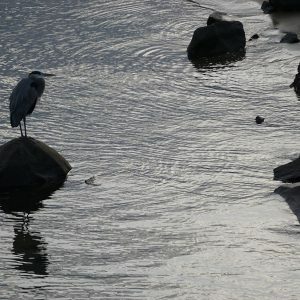 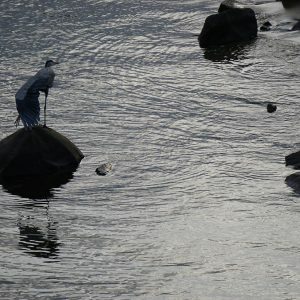 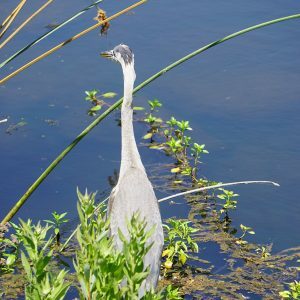 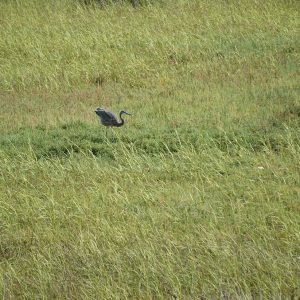 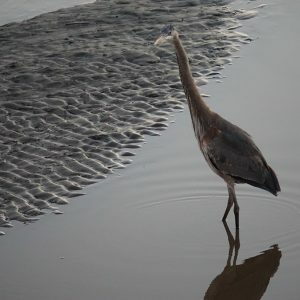 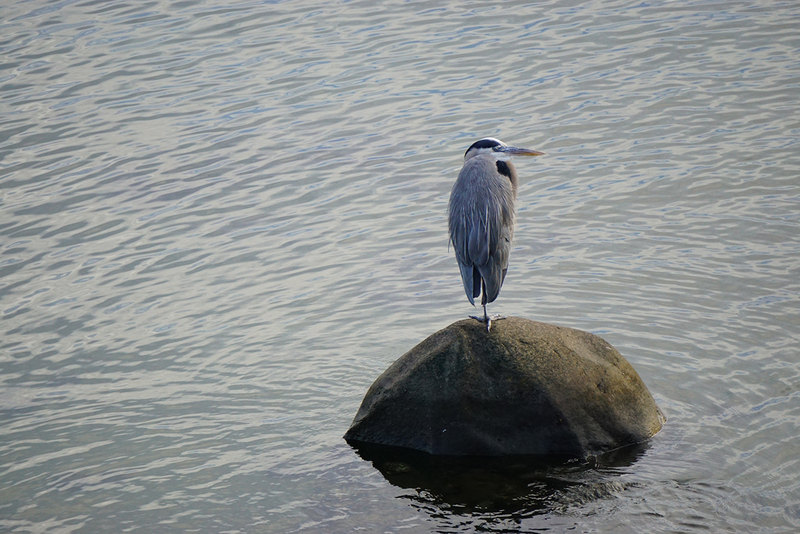 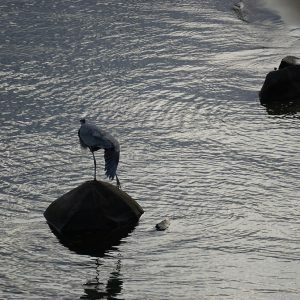 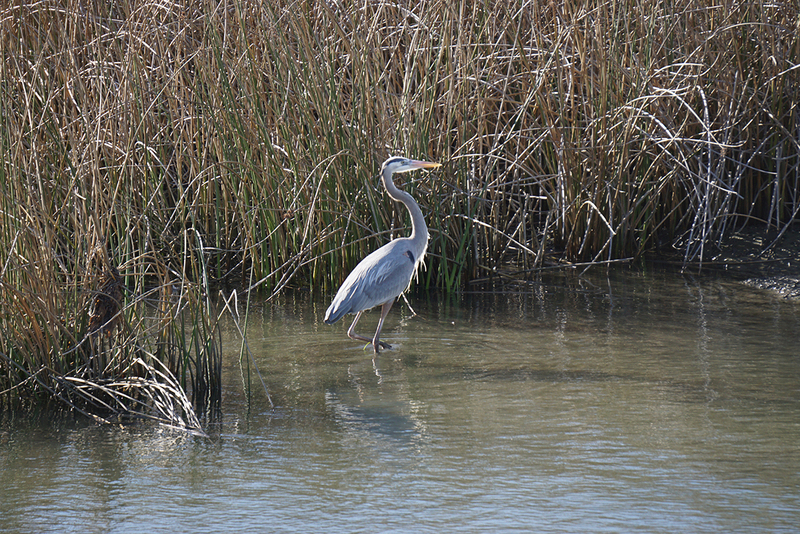 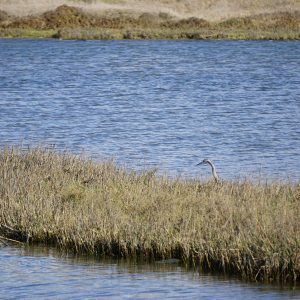 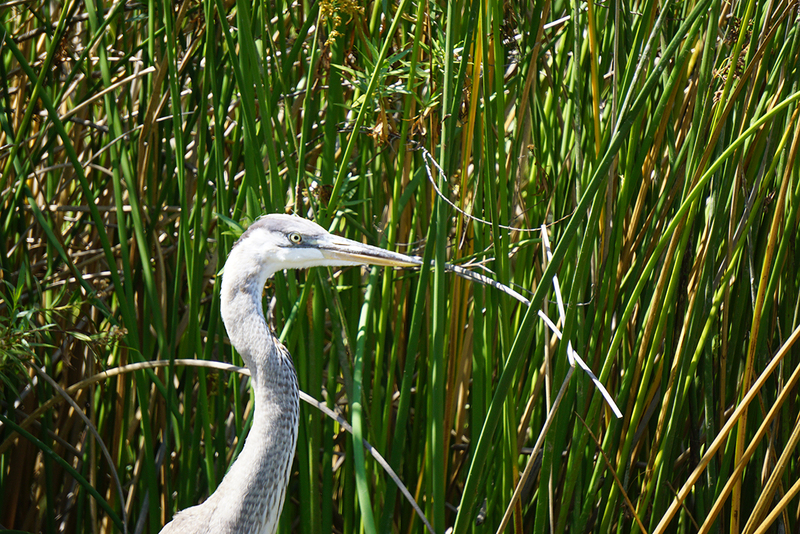 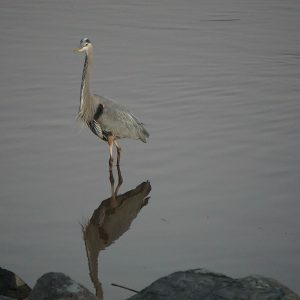 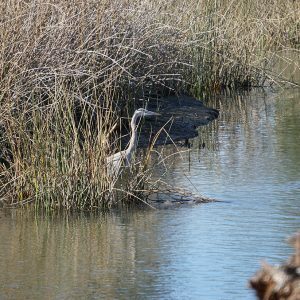 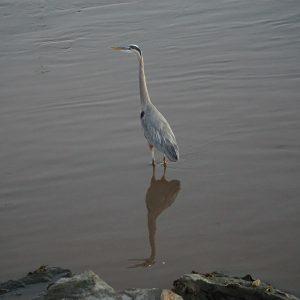 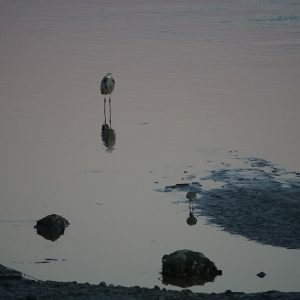 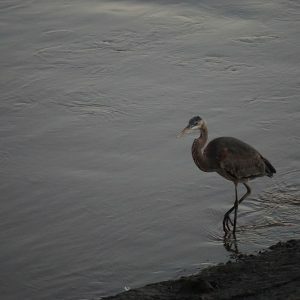 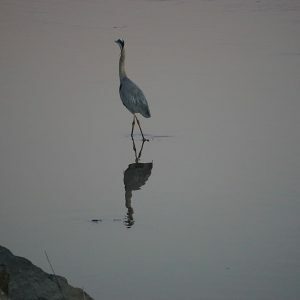 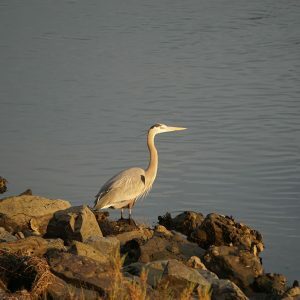 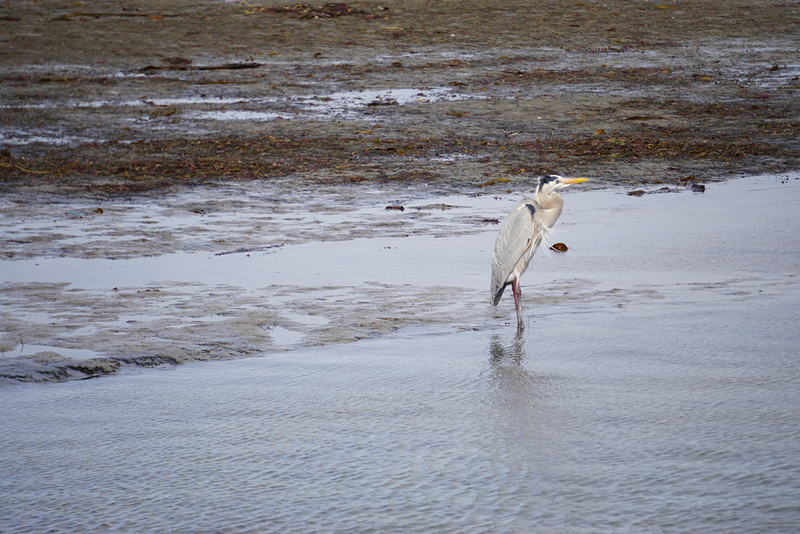 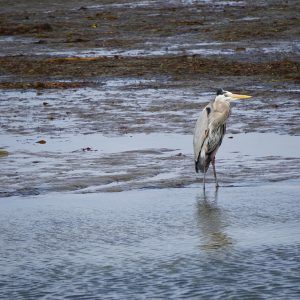 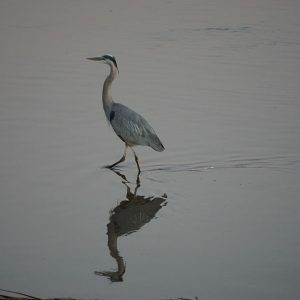 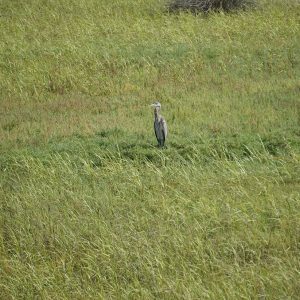 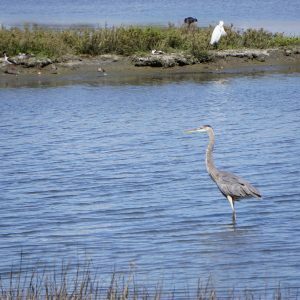 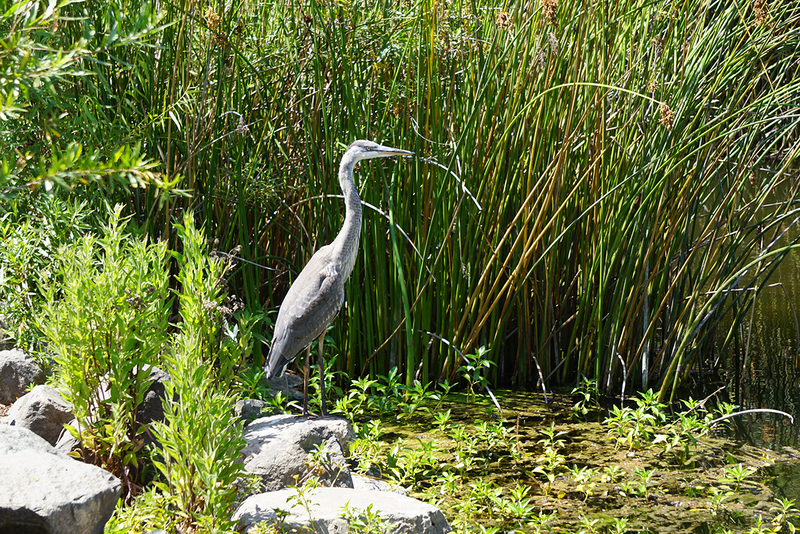 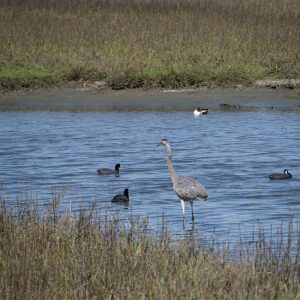 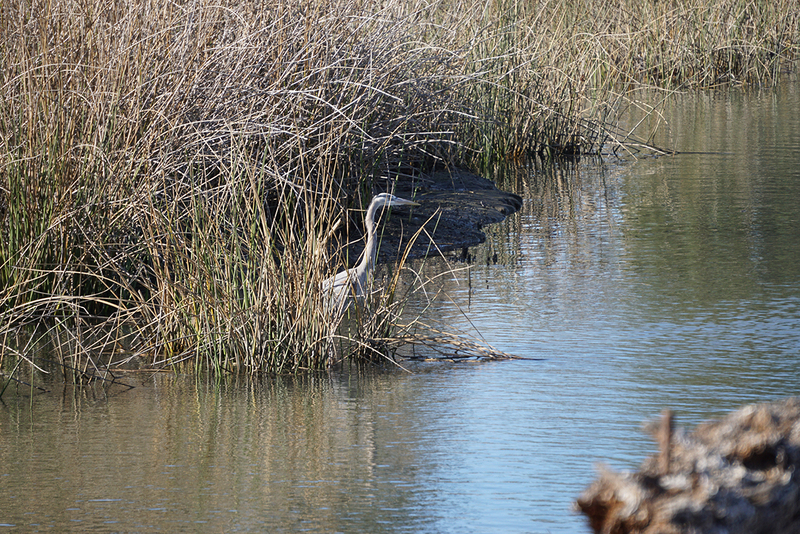 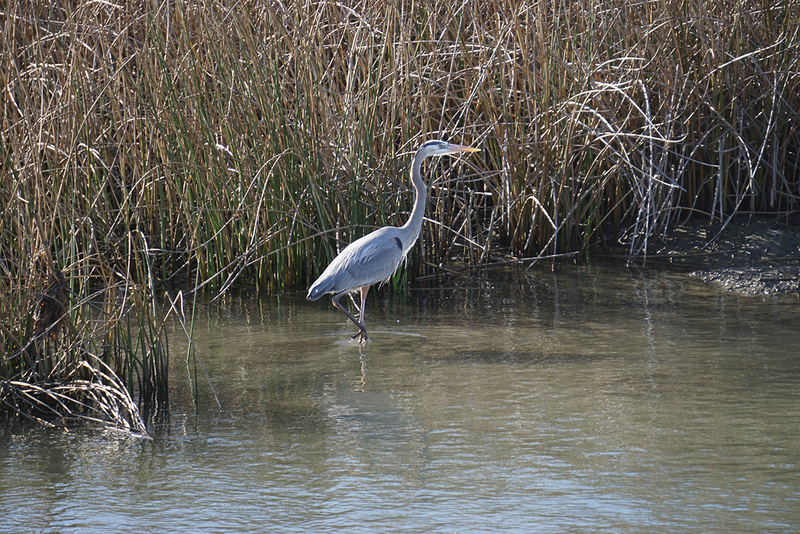 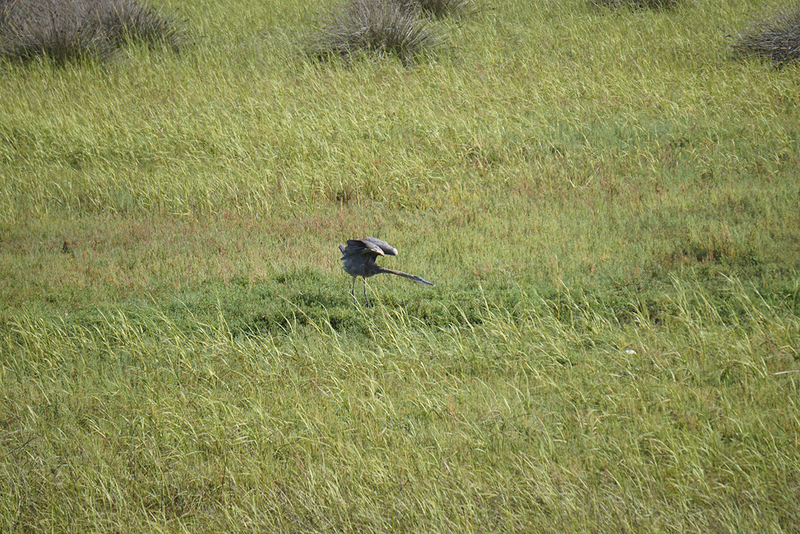 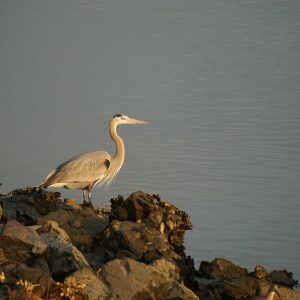 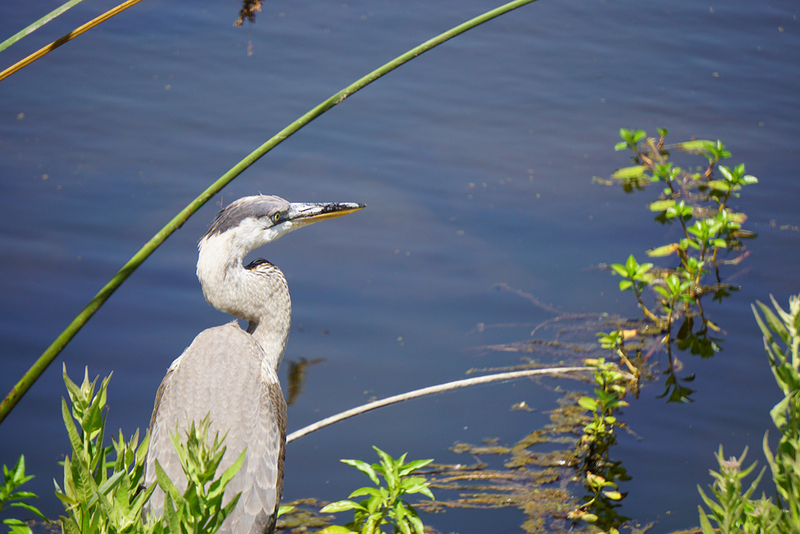 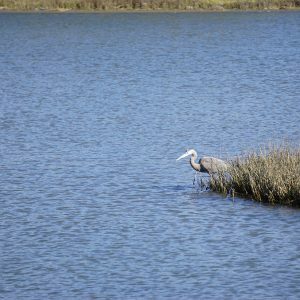 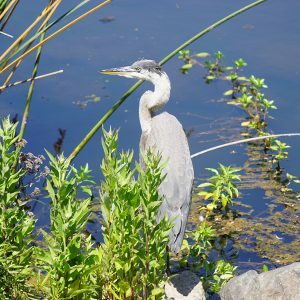 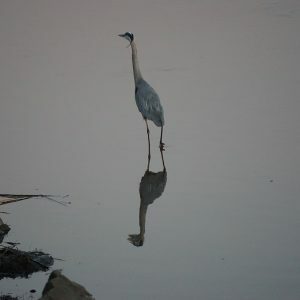 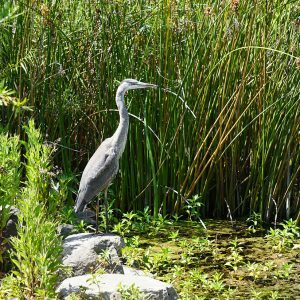 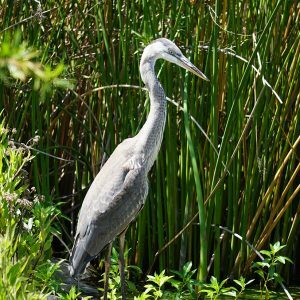 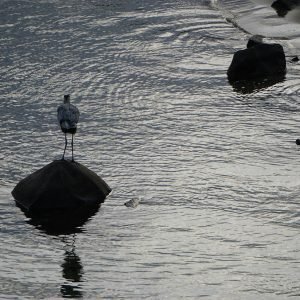 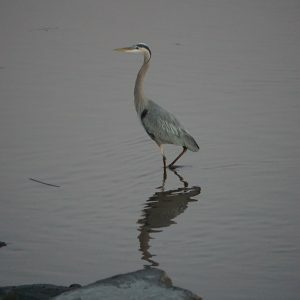 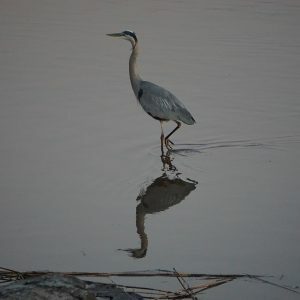 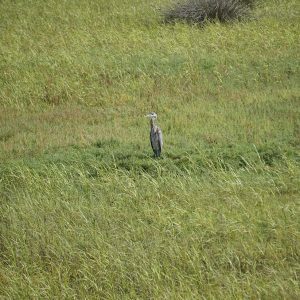 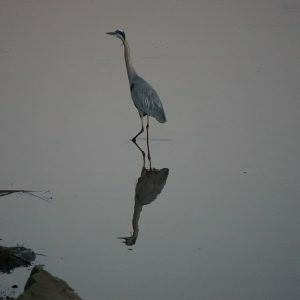 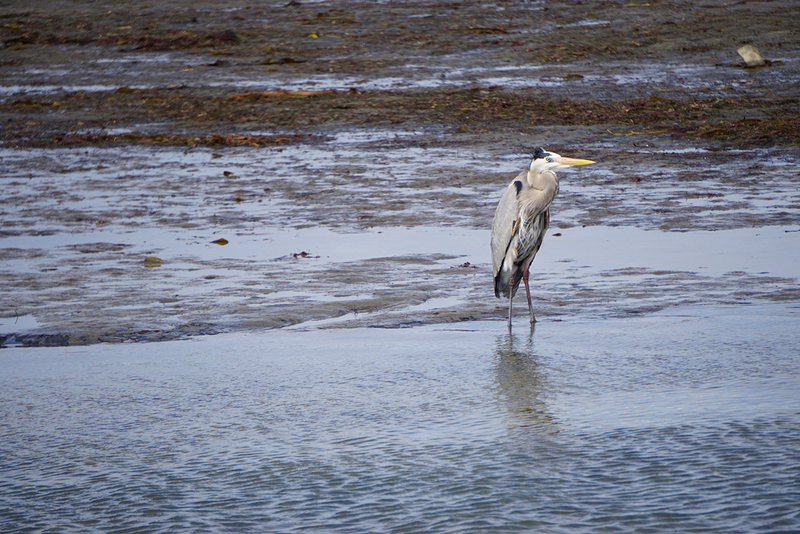 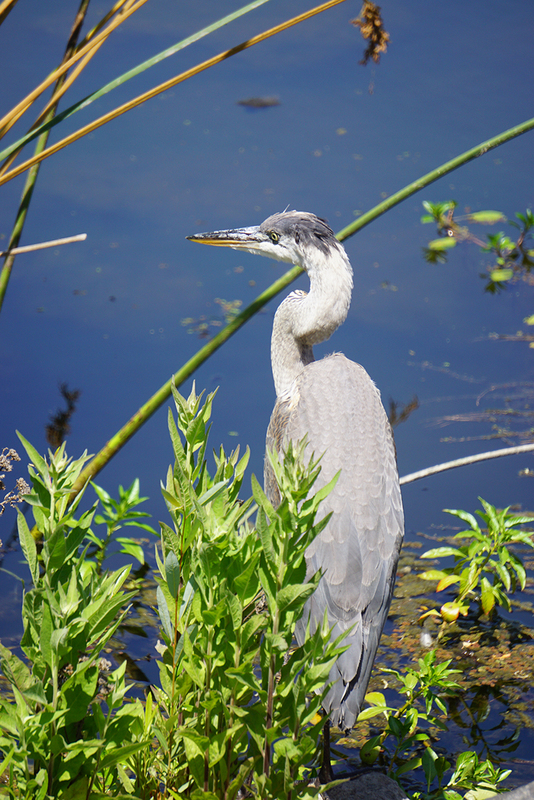 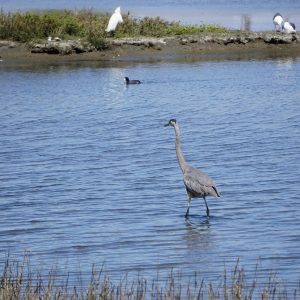 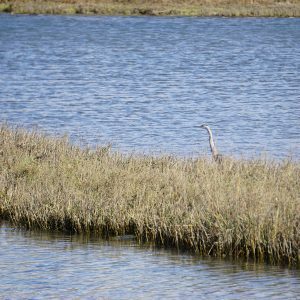 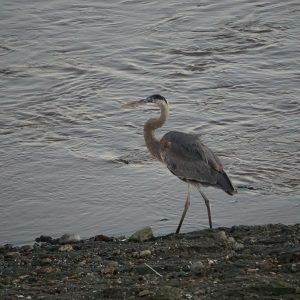 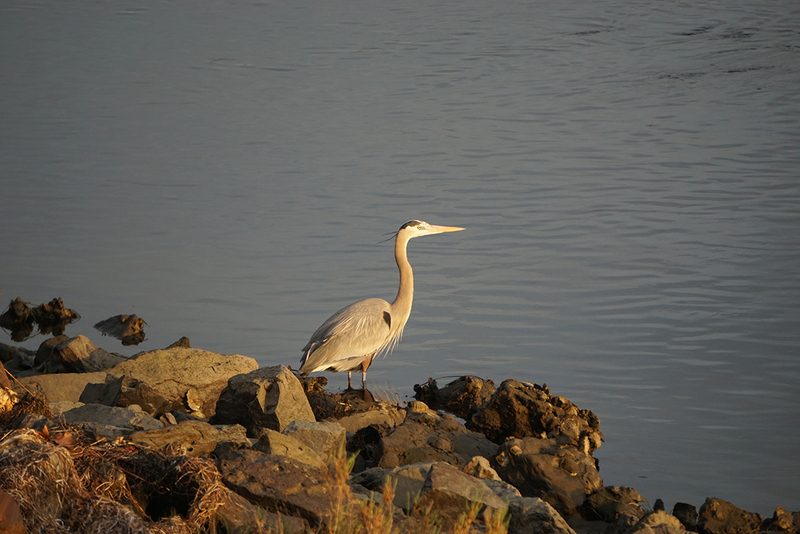 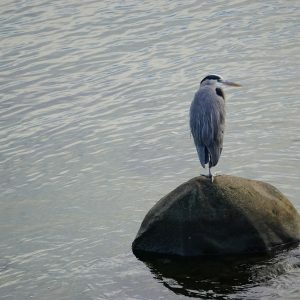 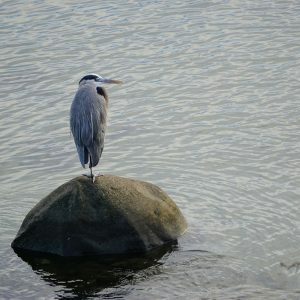 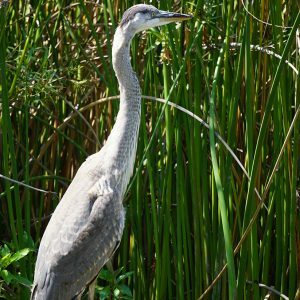 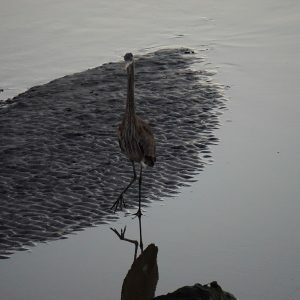 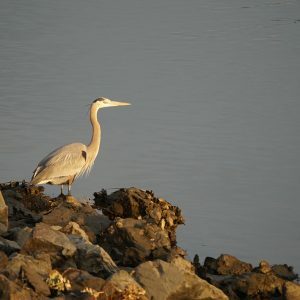 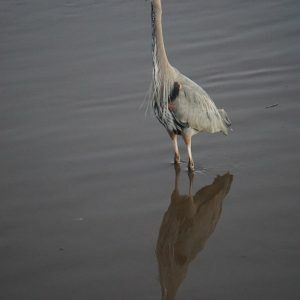 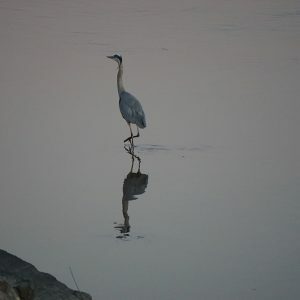 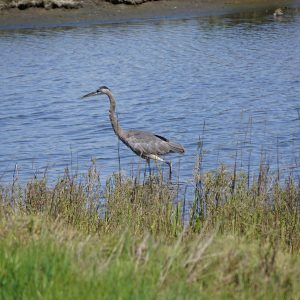 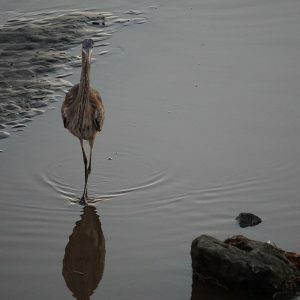 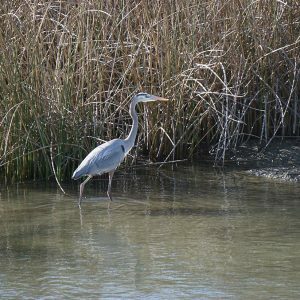 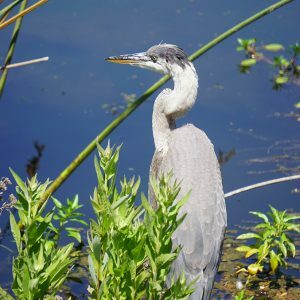 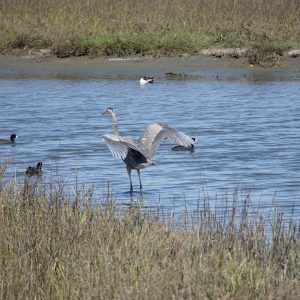 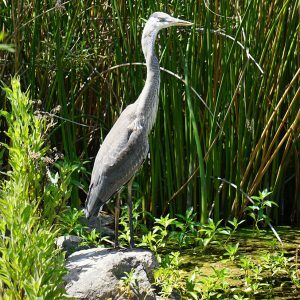 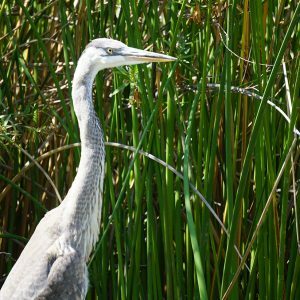 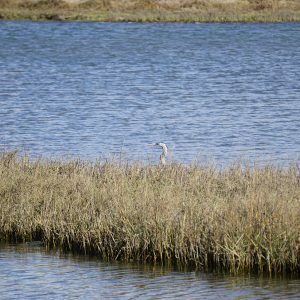 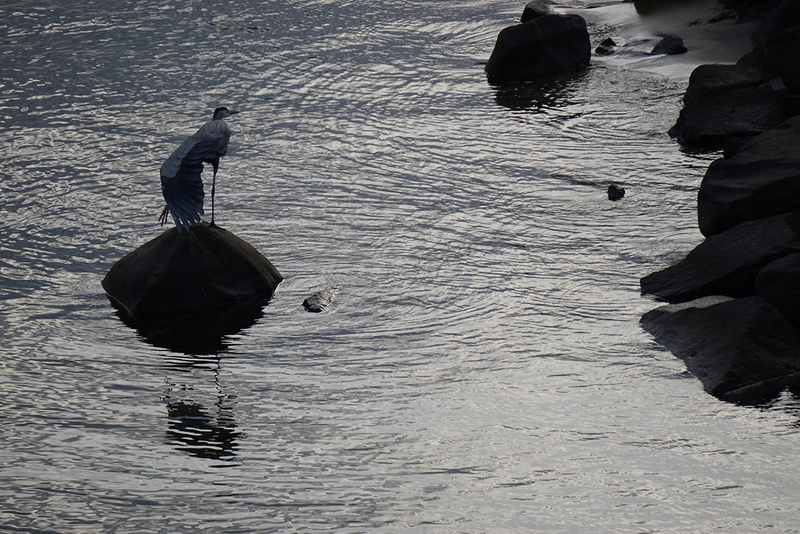 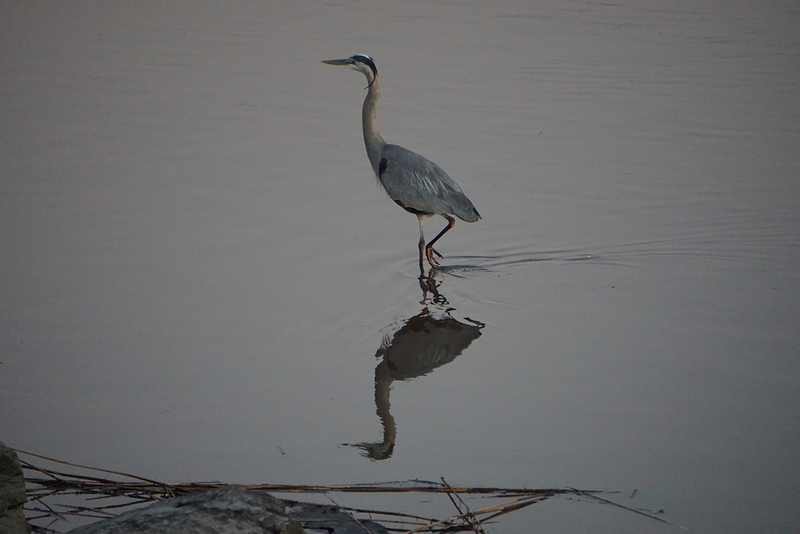 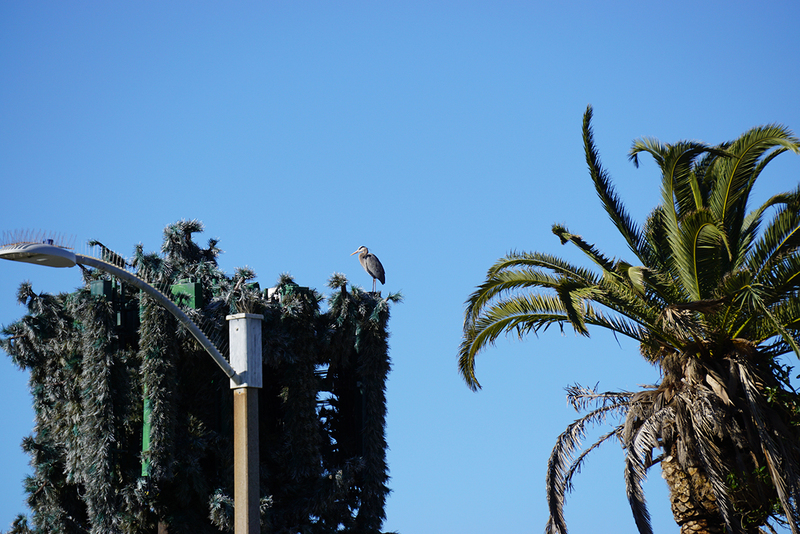 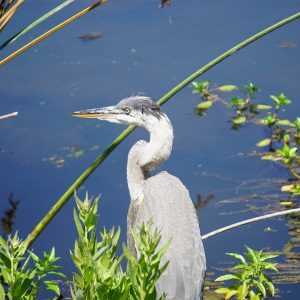 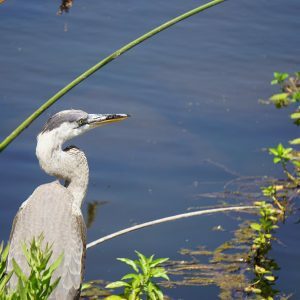 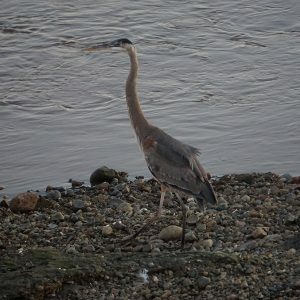 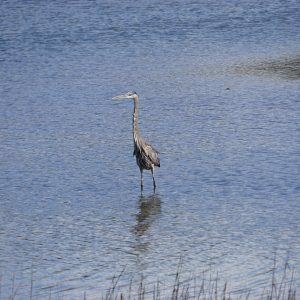 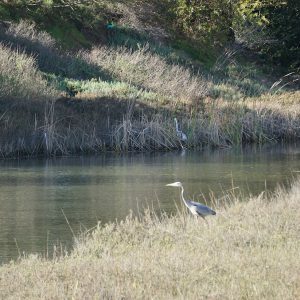 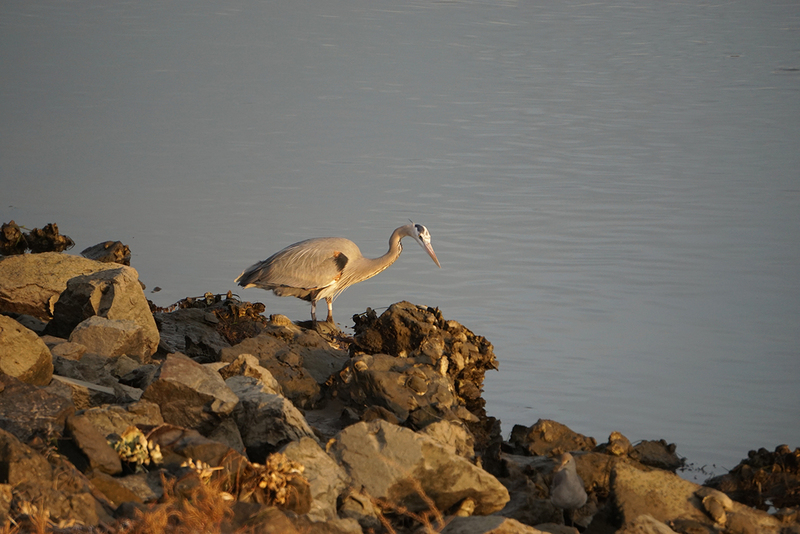 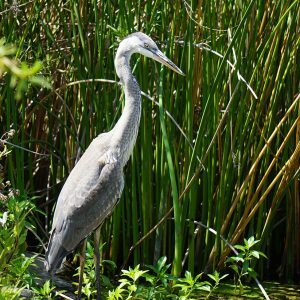 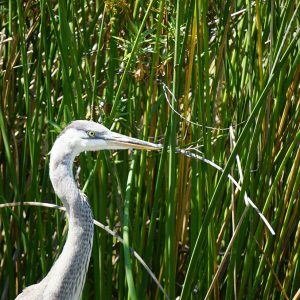 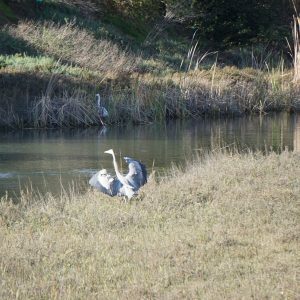 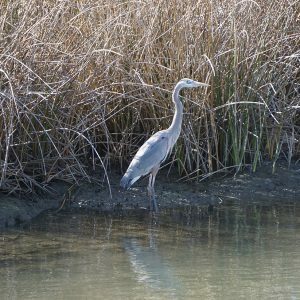 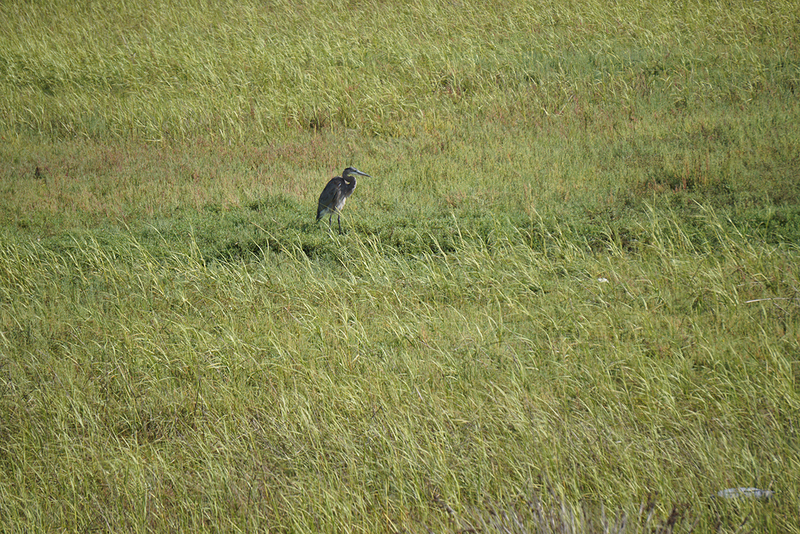 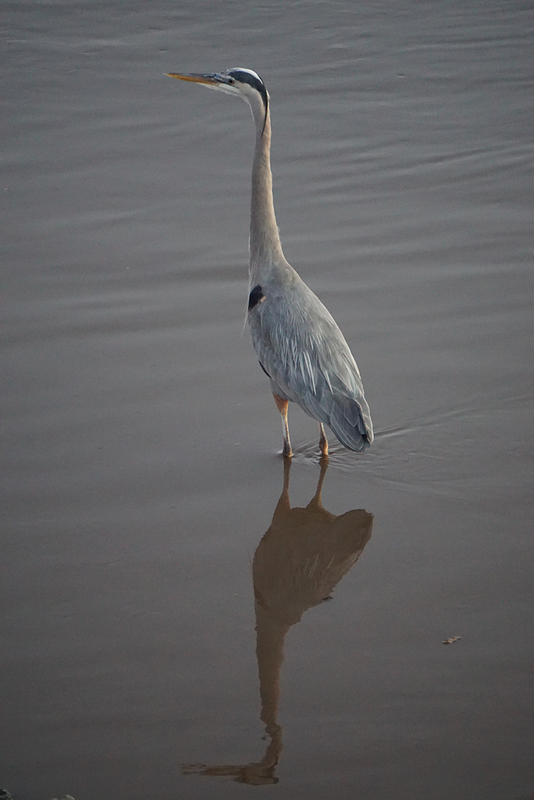 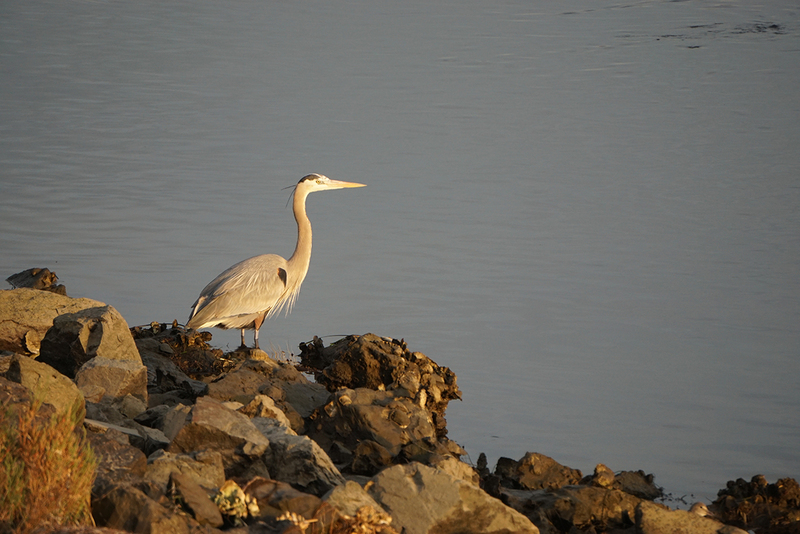 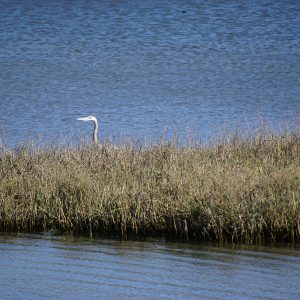 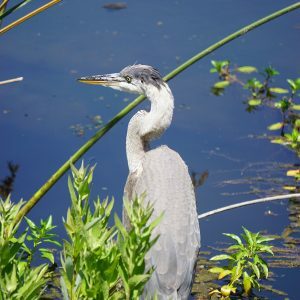 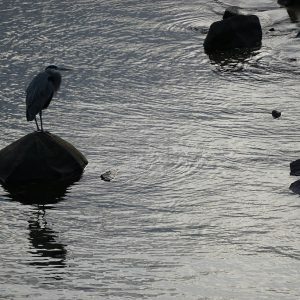 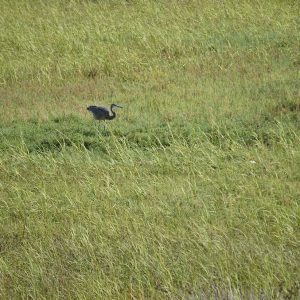 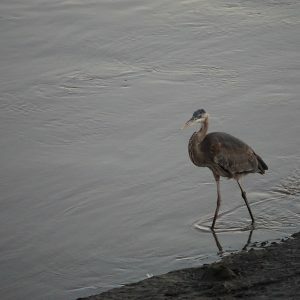 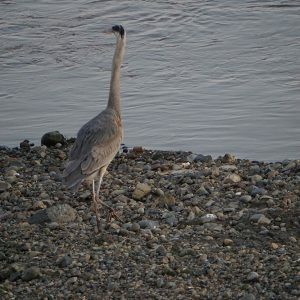 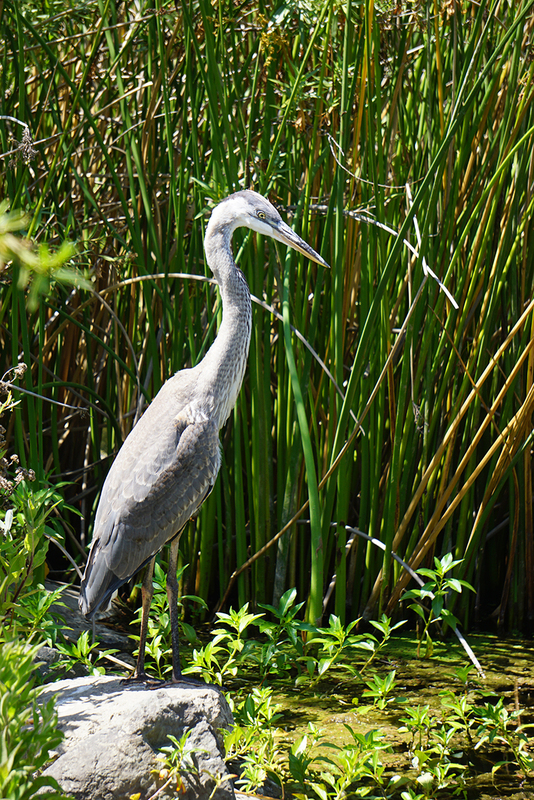 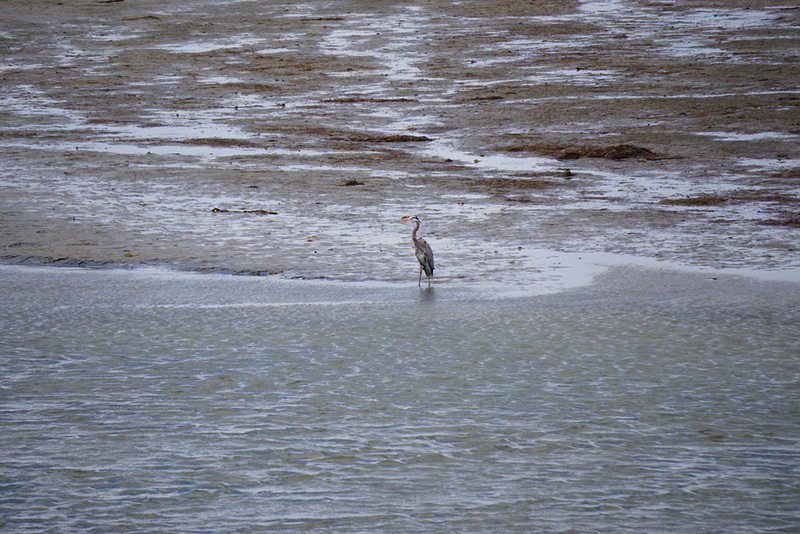 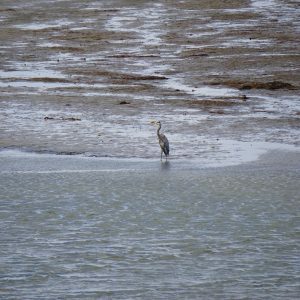 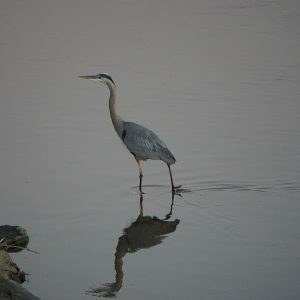 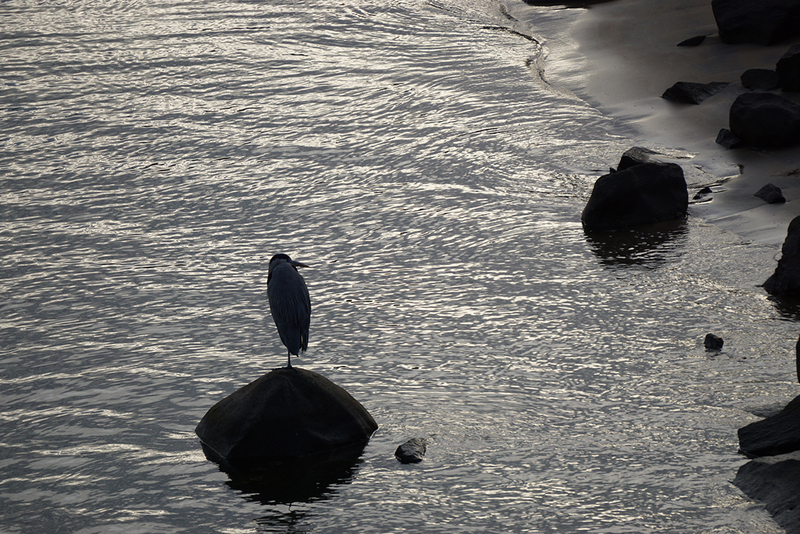 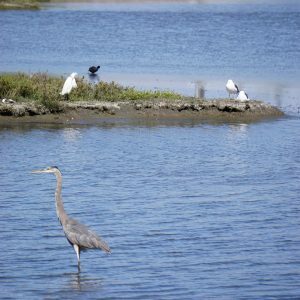 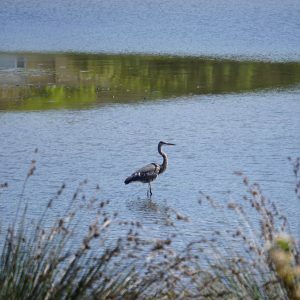 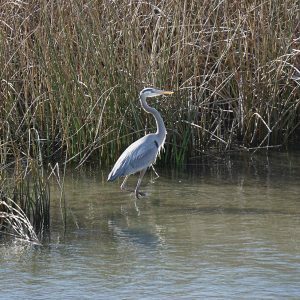 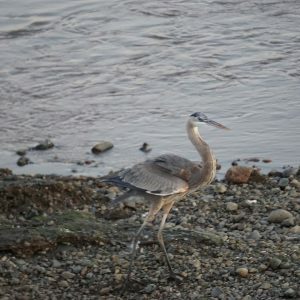 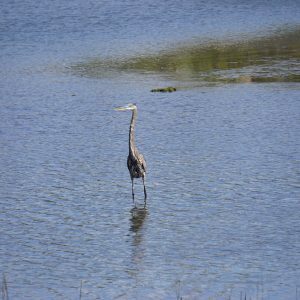 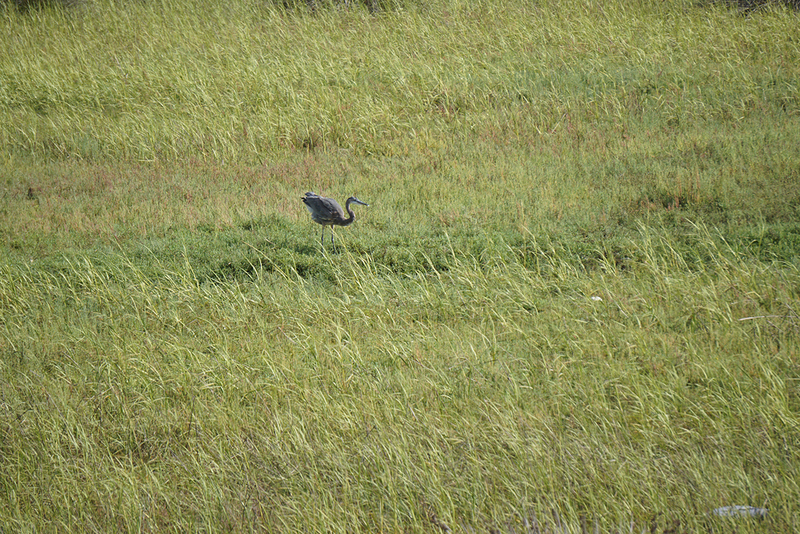 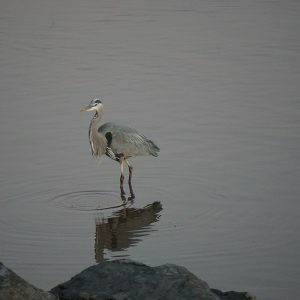 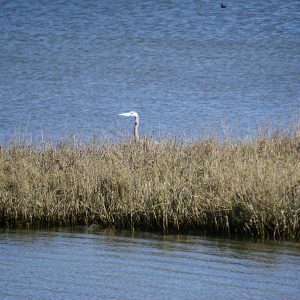 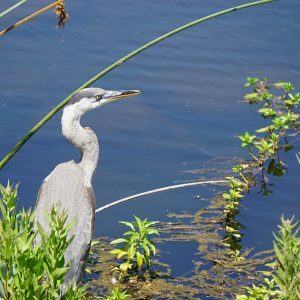 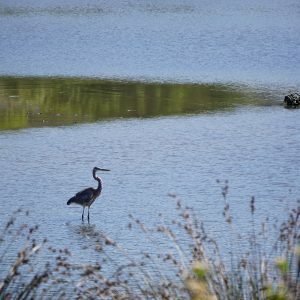 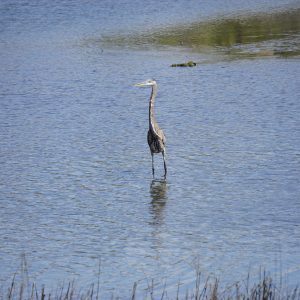 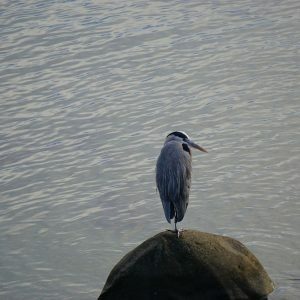 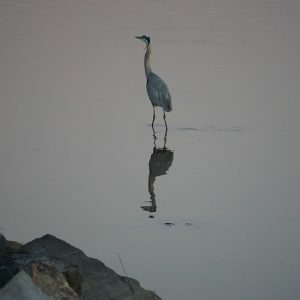 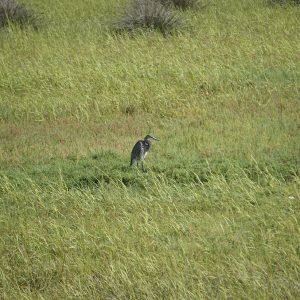 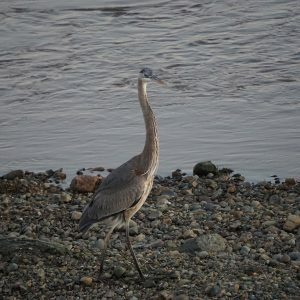 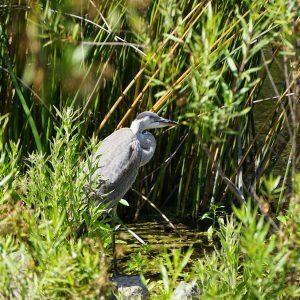 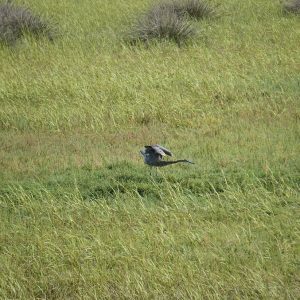 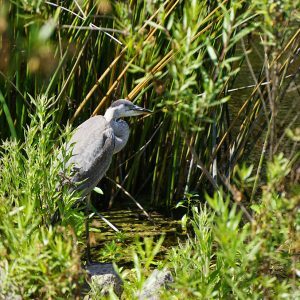 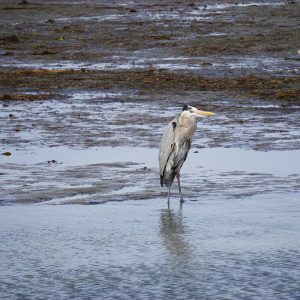 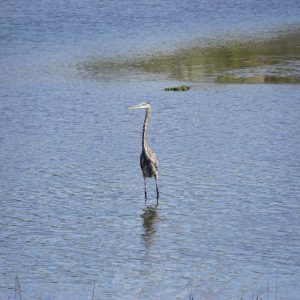 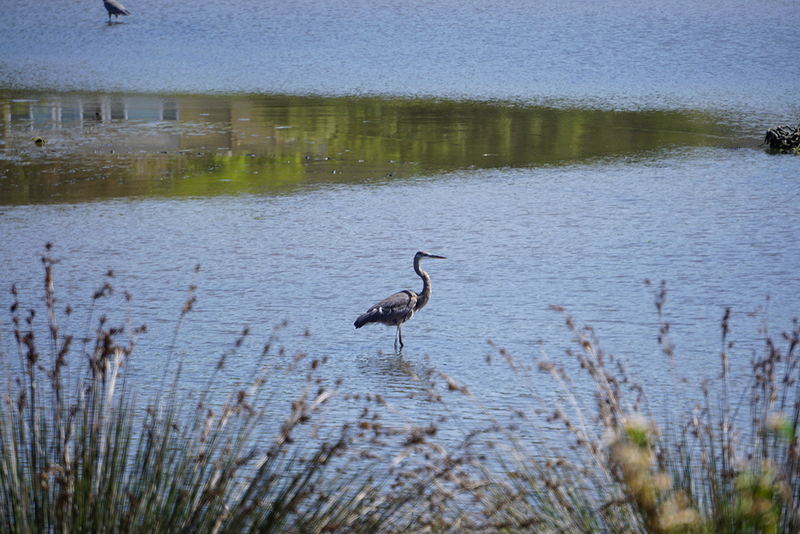 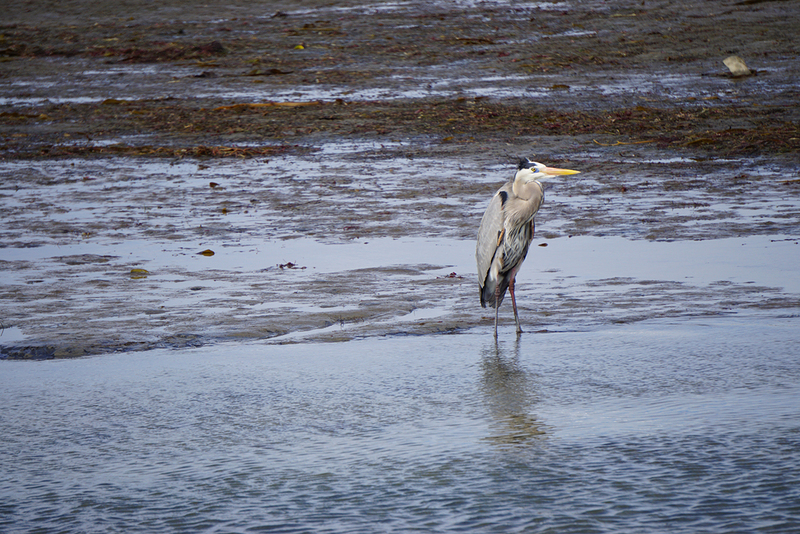 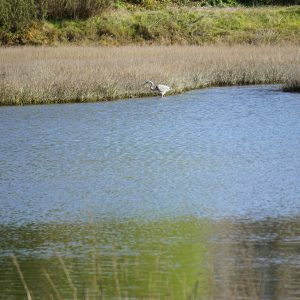 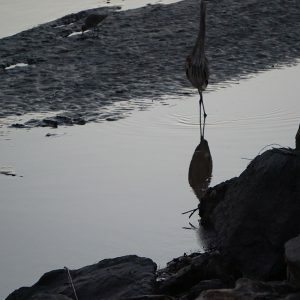 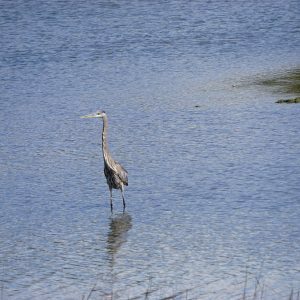 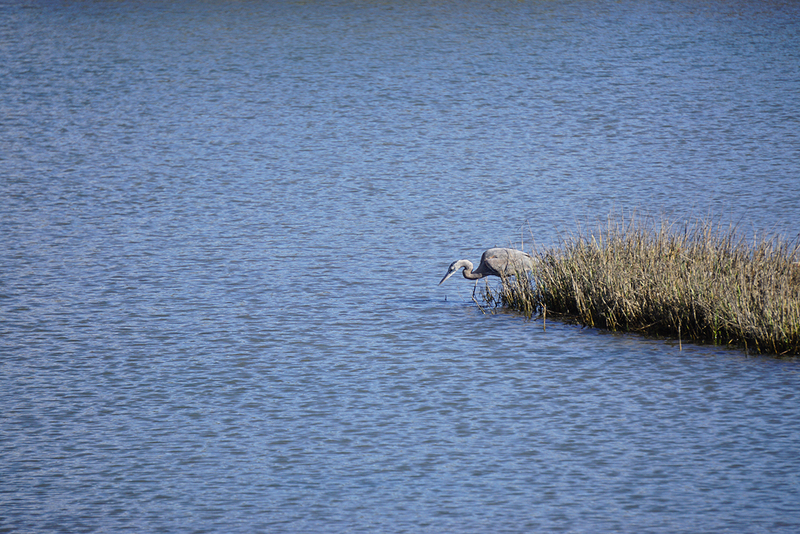 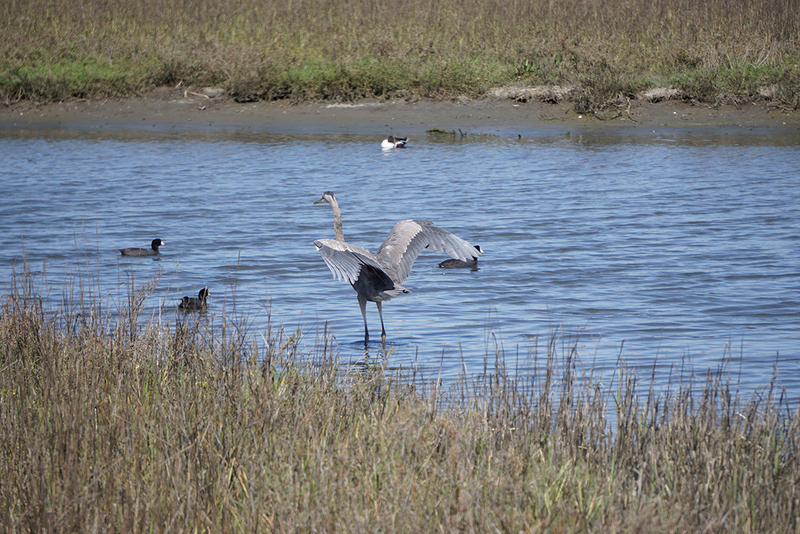 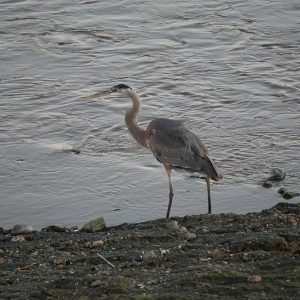 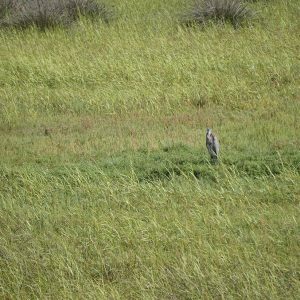 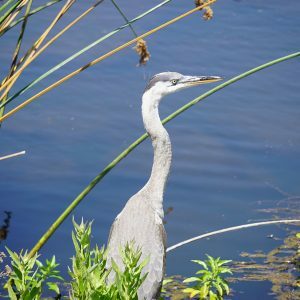 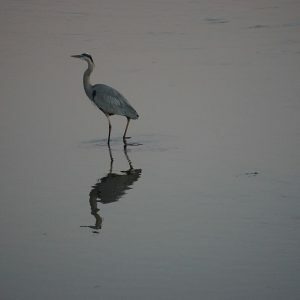 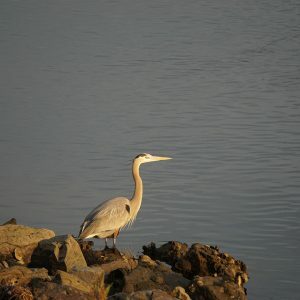 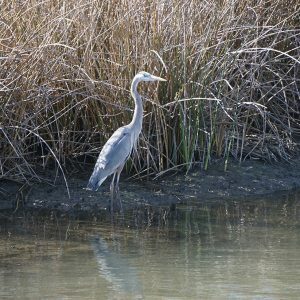 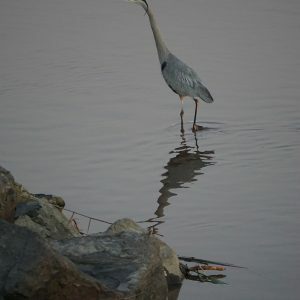 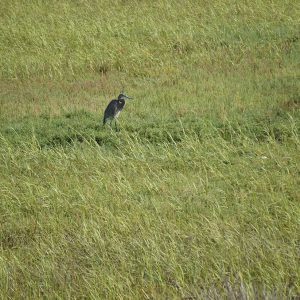 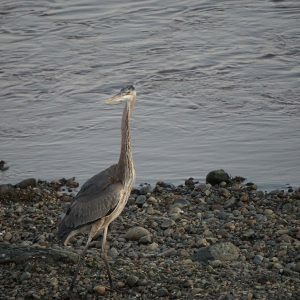 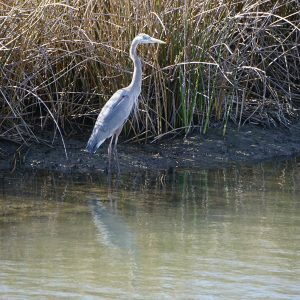 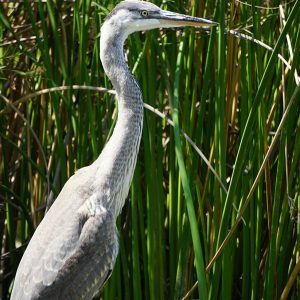 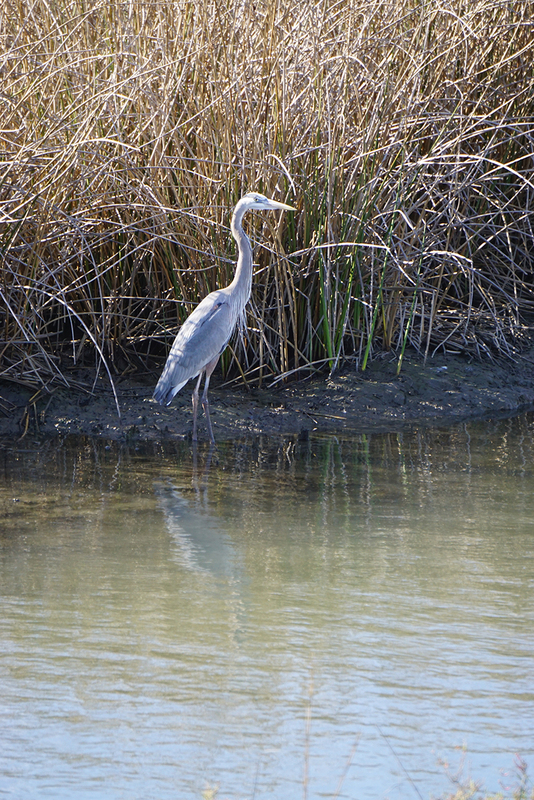 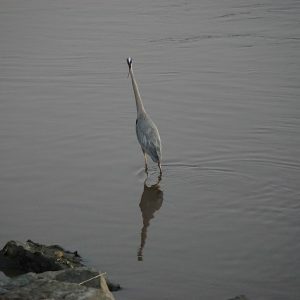 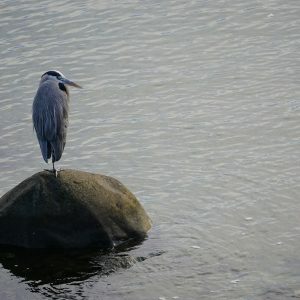 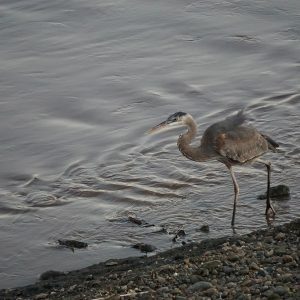 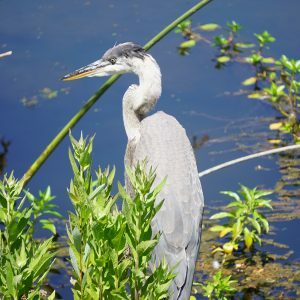 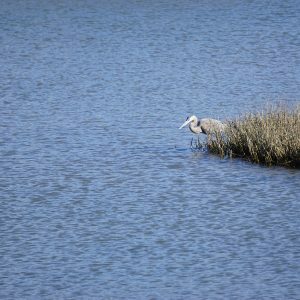 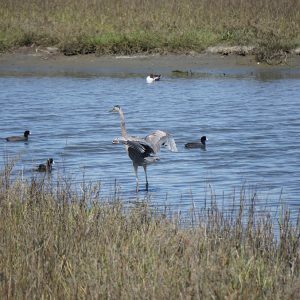 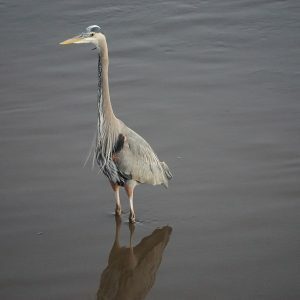 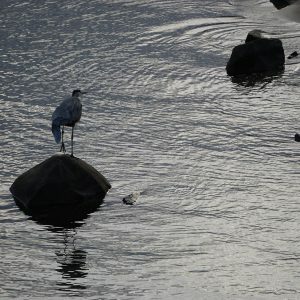 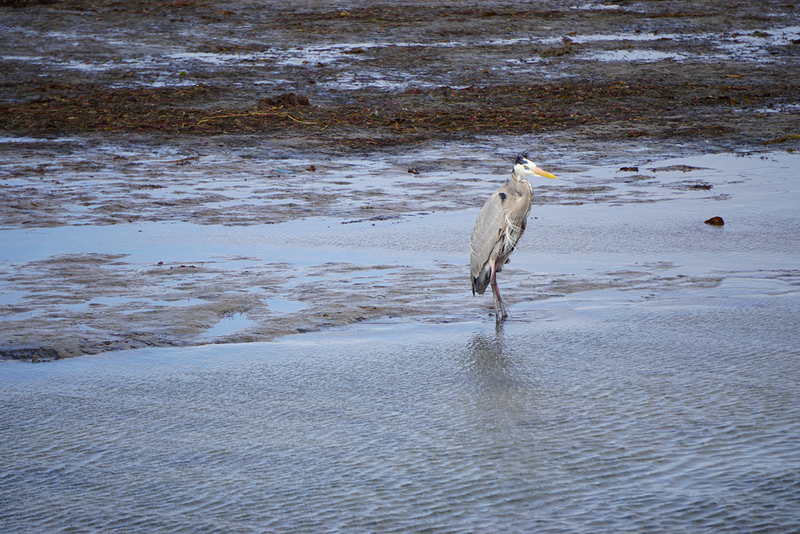 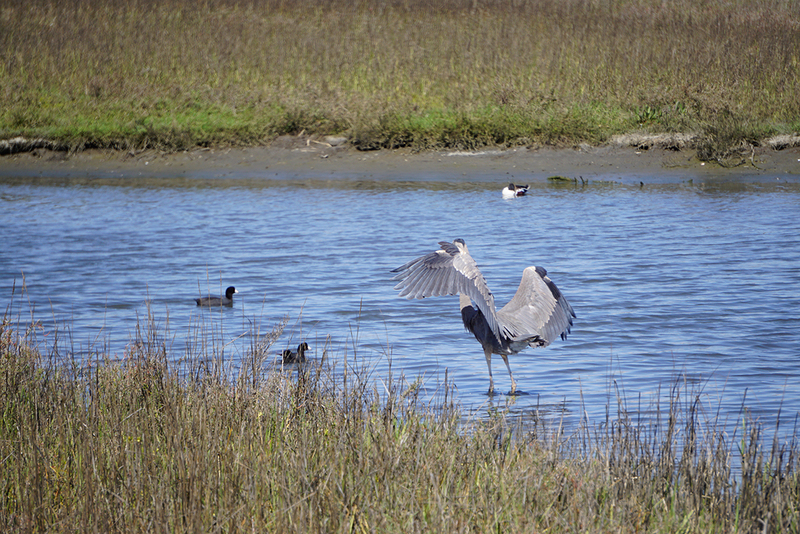 The great blue heron frequent the San Diego River in Mission Valley and can be most often found in the estuary. 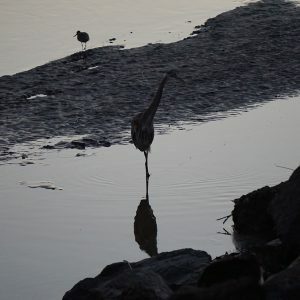 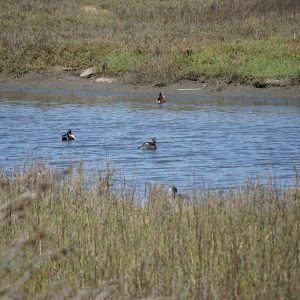 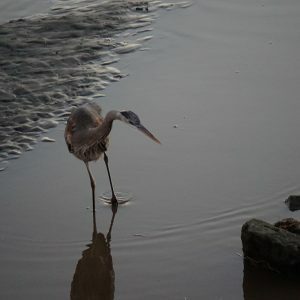 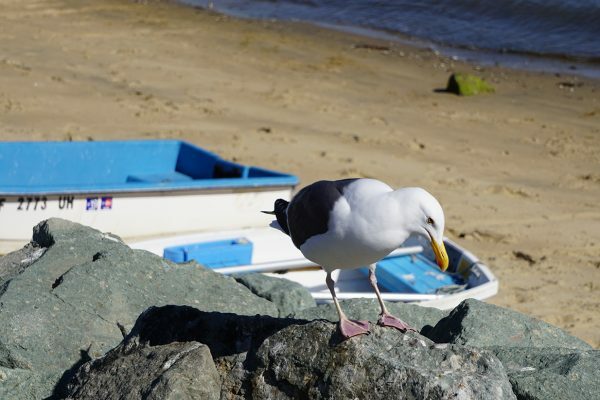 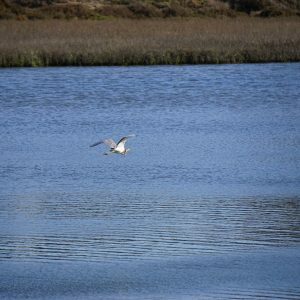 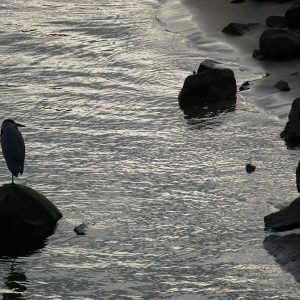 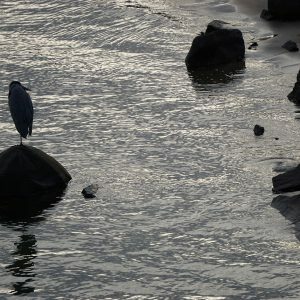 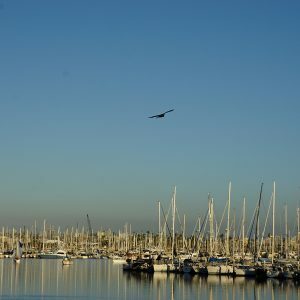 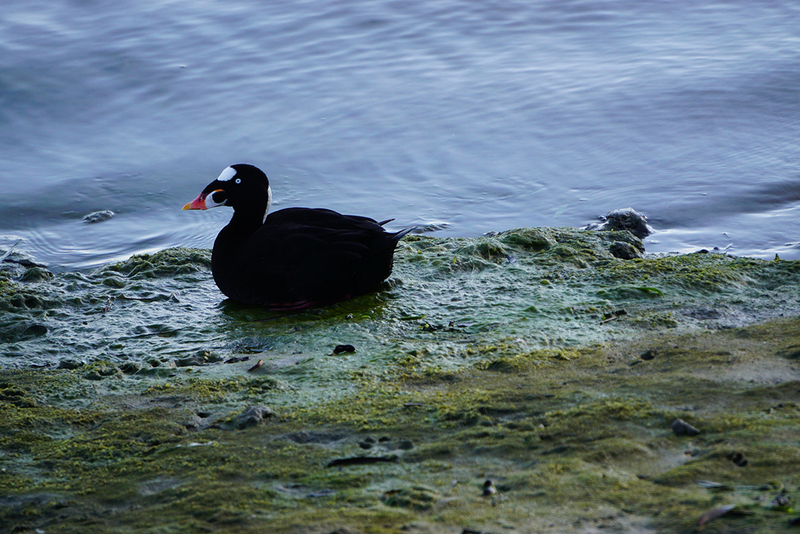 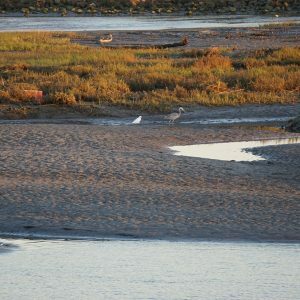 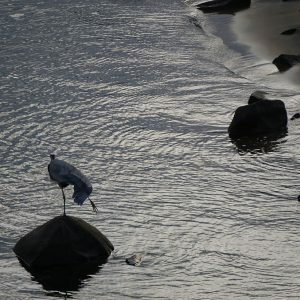 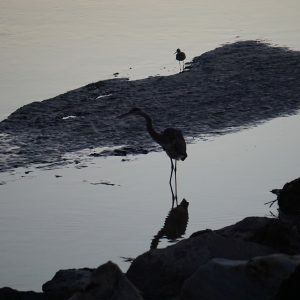 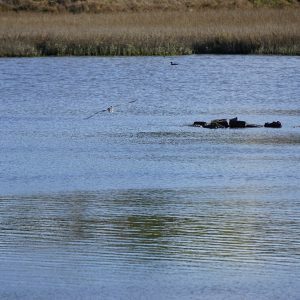 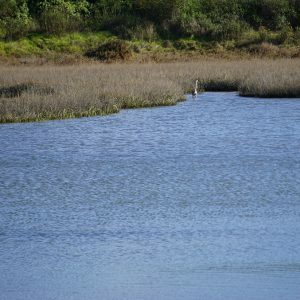 The images here are of the San Diego River Estuary next to Hospitality Point Park on the river side of the jetty and towards the bridge to Sunset Cliffs. 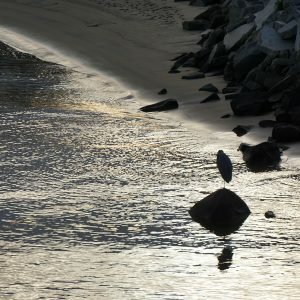 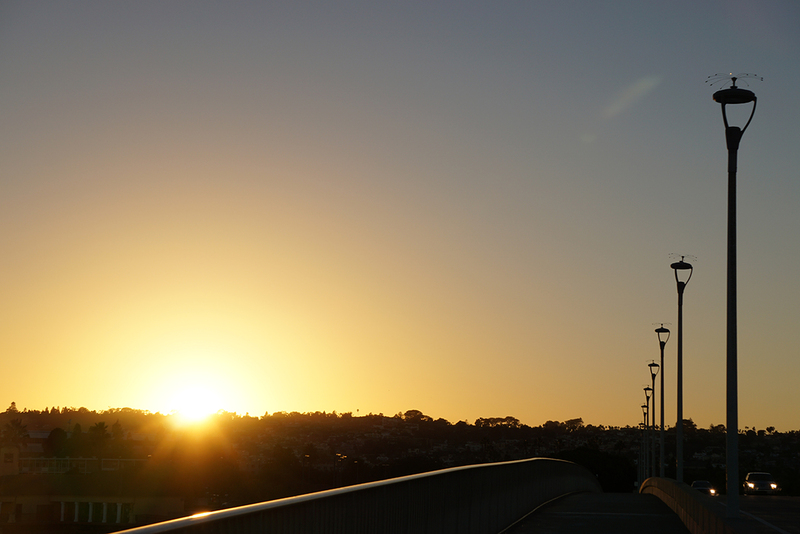 Photos taken opposite of Dog Beach are near the jetty for Hospitality Point Park. 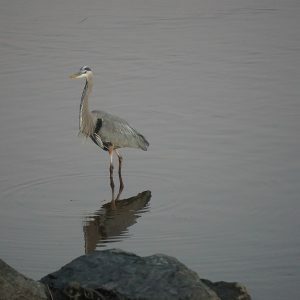 Photography opposite of Robb Field in Ocean Beach are nearer to the bridge for Sunset Cliffs. 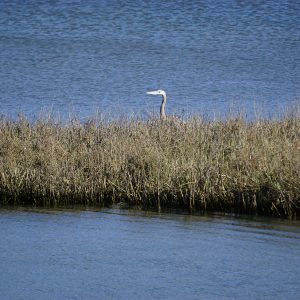 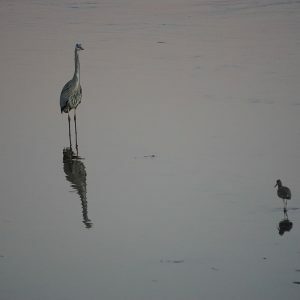 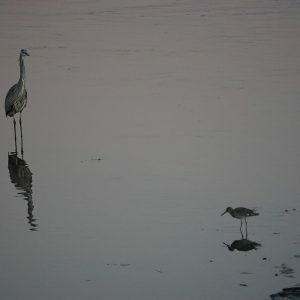 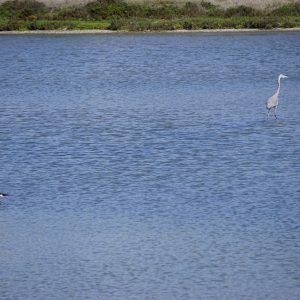 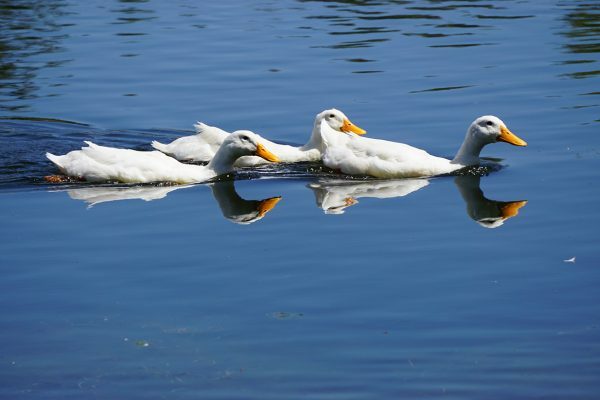 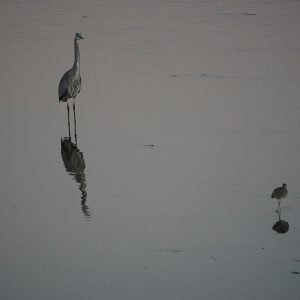 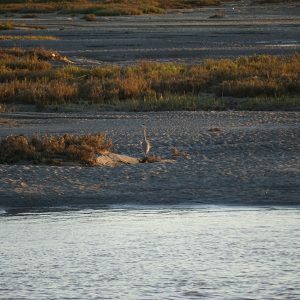 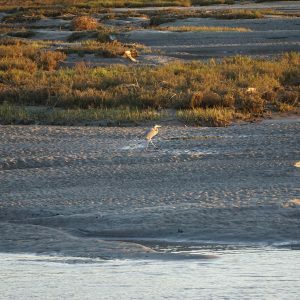 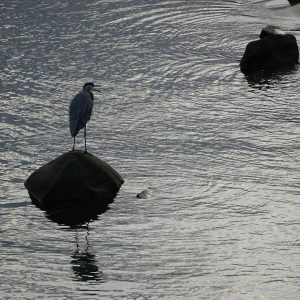 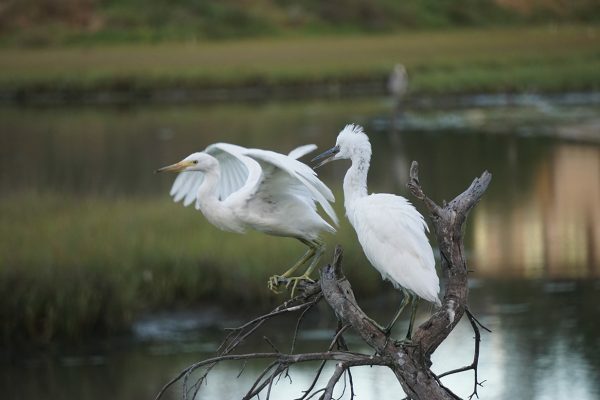 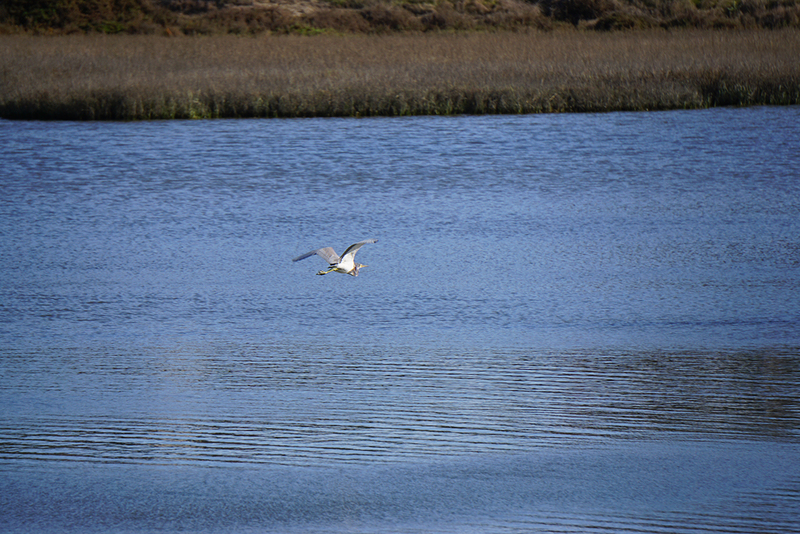 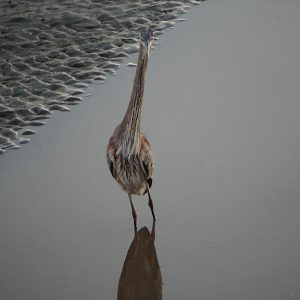 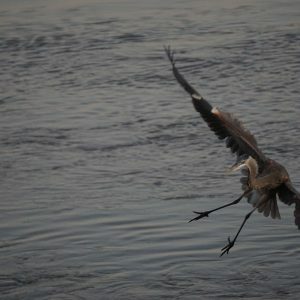 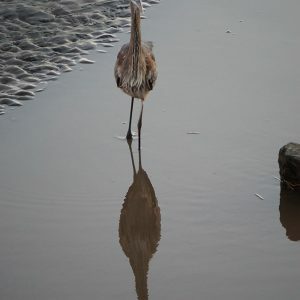 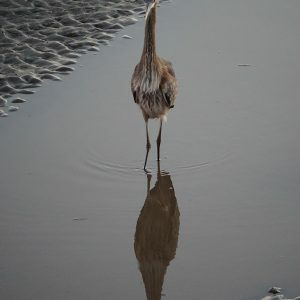 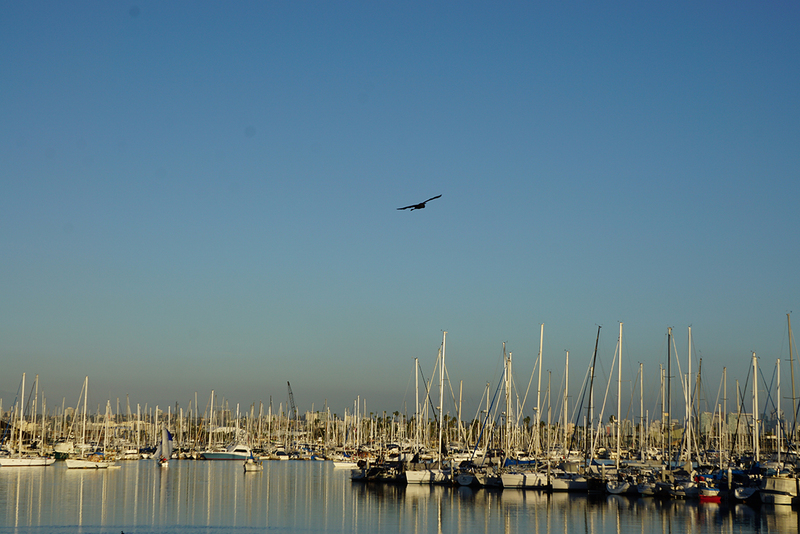 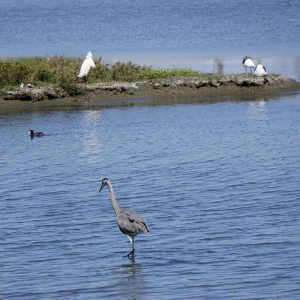 Some of the photos here have also been taken from the Robb Field side of the San Diego River Estuary. 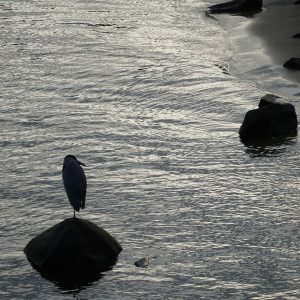 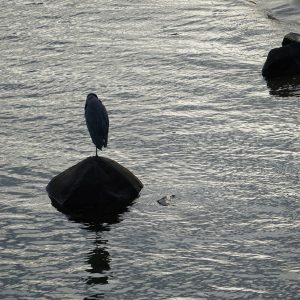 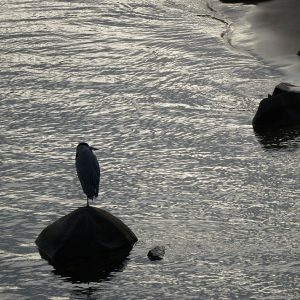 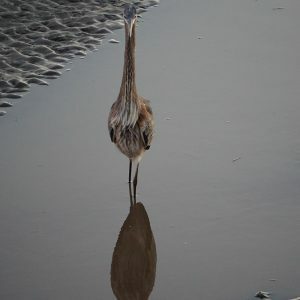 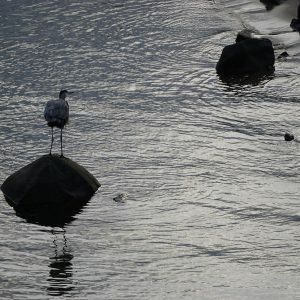 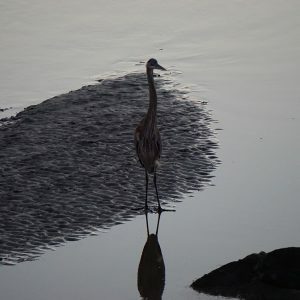 Galleries listed next are of the section of the San Diego River Estuary at the end of Mission Valley between the Interstate 5 freeway bridges and the Sports Arena and Sunset Cliffs bridges.